Carlos Chastre received his Ph.D. degree in Civil Engineering / Structures from NOVA University of Lisbon and also holds a M.Sc. degree in Structural Engineering and a B.Eng in Civil Engineering from Technical University of Lisbon. After working in the industry for 8 years, he joined the Department of Civil Engineering at NOVA University of Lisbon in 1997 and he is currently Associate Professor. He has been a professor in charge of courses of Statics, Strength of Materials II, Reinforced Concrete I and II, Structural and Geotechnics Subjects, Design of Structures, Structural Design and Strengthening & Repair of Structures. He has authored more than 120 publications and has supervised to completion 29 master students, 4 PhD students, and 2 Postdoc researchers. He has won the BES National Award for Innovation in the area of New Materials and Industrial Technologies in 2009. Editorial Board Member of the International Journal of Concrete Structures and Materials, Open Journal of Civil Engineering, Open Journal of Earthquake Research and International Journal of Earthquake Engineering and Hazard Mitigation. Precast concrete sandwich panels started being used as cladding for buildings, together with the rise of industrial prefabrication, during the mid-20th century. Since then, society and industry have become increasingly aware of energy efficiency in all fields, for both affordability and sustainability consciousness. As such, buildings have been subject to increasingly stringent requirements with the technology of sandwich panels kept continually at the forefront. Nowadays, sandwich panels have reached the highest standards of functional performance as structural efficiency, flexibility in use, the speed as well as of aesthetic appeal. These combine in building construction with the well-known advantages of prefabrication; such as construction, quality consciousness, durability and sustainability. Sandwich panels have gained more and more important in their field, thus representing quite a significant application within the industry of prefabrication and an important share of the market. The Commission ‘Prefabrication’ is keen to promote the development of all precast structural concrete products and to transfer the knowledge to practical design and construction. Now filling a strategic gap, by issuing this Guide to Good Practice, which includes design considerations, structural analysis, building physics, use of materials, manufacturing methods, equipment, field performance, and provides a comprehensive overview of the information currently available worldwide. The Commission is particularly proud that this document is a result of close cooperation with PCI and that it will be published by both fib and PCI. This cooperation started six years ago, first with comparing the different approaches to several issues, then progressively integrating up to producing common documents, like this one, that wasn’t yet treated in a specific Guide by either body. A set of three old suspended timber floors were flexurally strengthened with carbon fiber–reinforced polymer (CFRP) strips in order to investigate the effectiveness of externally bonding FRP to their soffits. The specimens were from an old building and 740-mm-wide bands were transferred to the laboratory in order to be tested in a four-point bending test. One specimen was tested with no strengthening system and the results obtained were used as reference values for comparison with the specimens that were externally bonded and reinforced (EBR) with CFRP strips. Two similar EBR systems were studied: (1) keeping both ends of the CFRP strips free of any restriction (traditional technique), and (2) embedding both ends of the CFRP strips into the timber, thus providing a bonding anchorage of the strips (new technique). The installation of the new strengthening system comprises the opening of holes in the timber and the creation of a transition curve between the holes and the timber surface. This transition curve allows a smooth transition of the CFRP laminate between the hole and the timber surface, thus avoiding stress concentrations in this area. After the opening of the holes, the resin is applied inside the hole and on the beam surface, and then the CFRP laminate is mounted. The load-carrying capacity of the specimens, the rupture modes, and the strains and bond stress distributions within the CFRP-to-timber interface are presented. A nonlinear numerical simulation of the specimens based on the midspan cross-sectional equilibrium is also presented. The results showed that the use of the new strengthening system enhances the performance of the specimens when compared with the traditional strengthening system. The strengthening of structures such as columns, beams, arches or slabs with Fibre Reinforced Polymers (FRP) has been the focus of several studies. However, the studies dedicated to the FRP debonding phenomenon of curved bonded joints affected by elevated temperatures are surprisingly limited and no studies on this topic are known, at present, to use nonlinear analytical or numerical approaches. Still, the available studies found in the literature are unanimous in affirming that the debonding phenomenon on such curved interfaces demands the interaction between Fracture Modes I and II. The present work aims to develop an analytical solution capable of simulating the debonding process of curved CFRP-toconcrete interfaces with a constant radius subjected to mechanical and/or thermal loads. Some examples are presented in which the influence of the radius of the interface and the temperature level is analysed. The analytical solution proposed here is based on adhesion laws in which, in the case ofMode II, an exponential bond vs. relative displacement law with temperature dependency is assumed, whereas the Mode I adhesive law is based on a linear with fragile rupture law with the same temperature dependency as Mode II. The main goal of the present research work is to characterise a unidirectional fibre reinforced grout (UFRG), developed as an alternative material to strengthen RC structures using small thickness jacketing. A high performance cementitious grout reinforced with continuous and unidirectional non-woven steel fibre mat has been developed for this purpose. It was expected that the optimization of the percentage and alignment of the steel fibres would yield a more efficient fibre grout. In fact, the composite should attain higher tensile strength with continuous fibres since the fibre embedment length is enough to prevent fibre pull-out. An experimental programme was carried out to characterise the UFRG’s mechanical properties. Compressive tests were conducted on small thickness tubular specimens to enable the determination of the compressive strength and the static modulus of elasticity. The tensile strength was obtained from splitting tests performed on cubic specimens (DIN 1048-5). Semi-empirical equations, based on the experimental results, are proposed to estimate UFRG’s modulus of elasticity, compressive strength and tensile strength. Two strengthening solutions for RC structures using small thickness CFRP jacketing are presented. This paper presents a comparative evaluation of efficiencies of different accelerated ageing tests (freezethaw, thermal shock, salt crystallization, dissolution and wetting-drying) and fuzzy inference system in predicting weathering degrees of some monument stones from three historical sites (Anahita Temple, Anobanini reliefs and Eshkaft-e Salman reliefs, Iran). The combined effects of natural weathering processes (heating and cooling, wetting and drying, and freezing and thawing) and climatic information were used for assessing the natural weathering degrees. Finally, the natural weathering degrees were multiplied by time effect coefficients to obtain more realistic natural weathering degrees of the monuments. The predicted natural weathering degrees for Anahita Temple, Anobanini reliefs and Eshkaft-e Salman reliefs are 56%, 61%, and 47%, respectively. These predicted values reasonably support the weathering degrees defined by progressive decay indices (calculated equal to 2.77, 3.42 and 2.66 for Anahita Temple, Anobanini reliefs and Eshkaft-e Salman reliefs, respectively), which means the fuzzy model potentially could accurately predict the weathering of stones. Weathering imposes vital effects on stony monuments. Mostly, the degree of weathering is determined by simple test results, ignoring simultaneous effects of various weathering factors. Hence, the main purpose of this study is to develop prediction models with fuzzy inference systems to determine the weathering degree of the Persepolis stone, using various accelerated ageing tests in laboratory condition and to extrapolate the results to the natural condition, considering climatic information. The results suggest reliable conformity between the prediction of the weathering degree of the stone and the weathering degree observed in the Persepolis complex in natural condition. Carbon Fiber Reinforced Polymer (CFRP) composites have a large potential for strengthening and retrofitting steel parts but due to their premature debonding from steel, further data and research are still required for wider application in such situations. 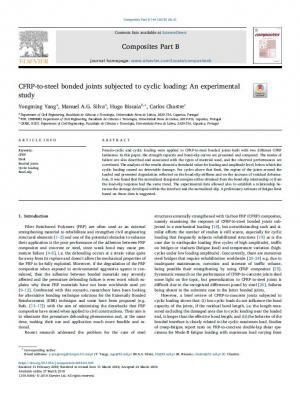 In the present paper, the bond characteristics of CFRP-to-steel joints in pull-pull loaded conditions were studied. Monotonic loading of the double strap joints with different bond lengths was applied and the failure modes and interfacial bond-slip curves were obtained. A tri-linear bondslip model is proposed and it was derived from the experimental data. A closed-form solution approach is also proposed based on the tri-linear bond-slip model. The strength of the CFRP-to-steel interface, the distribution of the relative displacements between bonded materials, the strains developed in the CFRP laminate and the bond stresses along the interface are reported and the closed-form solution is compared with the experimental results. Two cases are selected for presentation: (i) one with the bond length greater than the effective bond length; and, inversely, (ii) one with bond length which is shorter than the effective bond length. The results predicted by the closed-form solutions are shown to be accurate enough when compared to the experiments. Based on a few experimental results available in the literature, this work presents a simple analytical approach that allows the study of the long-term behaviour of CFRP-to-concrete interfaces under an initial sustaining load. Only the elastic regime is studied, which means that the interfacial maximum bond stress and maximum slip are never exceeded. Therefore, the maximum initial load to be sustained by the joints is limited by its corresponding elastic value. The analytical results provided by the proposed model are compared with some experimental results found in the literature. The results showed strain redistribution throughout the bonded length over the time. The durability performance of stainless steel makes it an interesting alternative for the structural strengthening of reinforced concrete. Like external steel plates or fibre reinforced polymers, stainless steel can be applied using externally bonded reinforcement (EBR) or the near surface mounted (NSM) bonding techniques. In the present work, a set of single-lap shear tests were carried out using the EBR and NSM bonding techniques. The evaluation of the performance of the bonding interfaces was done with the help of the digital image correlation (DIC) technique. The tests showed that the measurements gathered with DIC should be used with caution, since there is noise in the distribution of the slips and only the slips greater than one-tenth of a millimetre were fairly well predicted. For this reason, the slips had to be smoothed out to make it easier to determine the strains in the stainless steel and the bond stress transfer between materials, which helps to determine the bond–slip relationship of the interface. Moreover, the DIC technique allowed to identify all the states developed within the interface through the load–slip responses which were also closely predicted with other monitoring devices. Considering the NSM and the EBR samples with the same bonded lengths, it can be stated that the NSM system has the best performance due to their higher strength, being observed the rupture of the stainless steel in the samples with bond lengths of 200 and 300 mm. Associated with this higher strength, the NSM specimens had an effective bond length of 168 mm which is 71.5% of that obtained for the EBR specimens (235 mm). A trapezoidal and a power functions are the proposed shapes to describe the interfacial bond–slip relationships of the NSM and EBR systems, respectively, where the maximum bond stress in the former system is 1.8 times the maximum bond stress of the latter one. The adhesively bonded joints behaviour under cyclic loading is not yet well understood due to its inherent complexity. Numerical approaches appear, therefore, as the easiest way to simulate such mechanical behaviour. In this work, double strap bonded joints with Carbon Fibres Reinforced Polymers (CFRP) and aluminium are numerically simulated and subjected to a cyclic loading history. In the numerical simulation, the Distinct Element Method (DEM) is used and it is assumed cohesive bi-linear bond-slip models with local damage of the interface. The evaluation of the bonded joints under cyclic loading is made by comparing the results with those simulated with a monotonic loading. Concrete structures Externally Bonded Reinforced (EBR) with Fibre Reinforced Polymers (FRP) have been studied and used since the end of the last century. However, several issues need to be better studied in order to improve performance. The influence of size of anchorage plates used on Reinforced Concrete (RC) structures strengthened with EBR FRP composites, the external compressive stress to be applied on the anchorage plate and the numerical simulation of this region are some of the topics that need to be more carefully studied in order to clarify the performance of the FRP-to-concrete interface within the anchorage plate region. This study proposes a design methodology to estimate the amount of external compressive stress necessary to be applied on the anchorage plate of EBR systems with FRP composites, in order to avoid premature debonding. The external compressive stress imposed on the FRP composite is intended to simulate the effect produced by a mechanical anchorage system tightened to the EBR system. The results from the design proposal, when compared with the numerical ones, were efficient enough on the prediction of the bond strength improvement of FRP-to-concrete interfaces. The effective stress transfer between the fiber reinforced polymers (FRP) and the steel substrate is crucial for the successful retrofit of existing steel structures with FRP composites. However, there are no standard tests for FRP-to-steel interfaces, wherefore different test configurations have been used in recent years to assess the bond behaviour in these interfaces. The present study shows that the choice of test configuration is highly important and leads to different transfer stresses between the FRP and steel composites and consequently, has a direct influence on the strength of the bonded joint. Therefore, it is important to understand the debonding process that occurs in each test and avoid misinterpretations, erroneous analyses and dangerous characterizations of the interfacial behaviour of these interfaces. The current study presents a new analytical approach for the prediction of the debonding of FRP-to-steel interfaces when double-lap pull or double-strap tests are used. This article presents a nonlinear analytical solution for the prediction of the full-range debonding response of mechanically anchored, fiber-reinforced polymer (FRP) composites from the substrate. The nonlinear analytical approach predicts, for any monotonic loading history or bonded length, the relative displacements (or slips) between materials, the strains in the FRP composite, the bond stresses within the interface, and the stresses developed in the substrate. 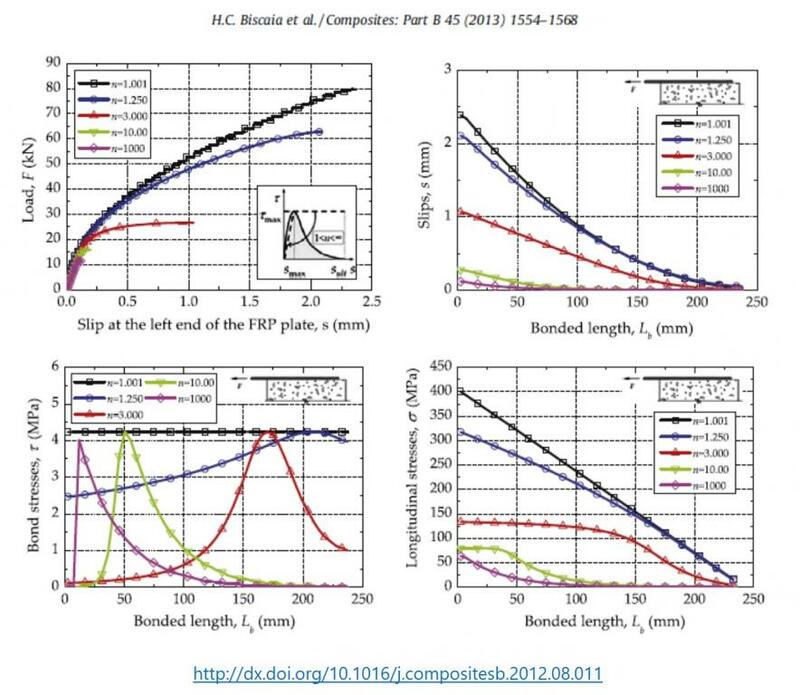 The load-slip responses of FRP-to-substrate interfaces with short and long bonded lengths are motives of analysis and discussion. The solutions obtained from the proposed approach are also compared with other experimental results found in the literature. Pseudo-cyclic and cyclic loading were applied to CFRP-to-steel bonded joints built with two different CFRP laminates. In this paper, the strength capacity and bond-slip curves are presented and compared. The modes of failure are also described and associated with the types of material used, and the observed performances are correlated. The analysis of the results showed a threshold value for loading and amplitude level, below which the cyclic loading caused no detectable damage. For cycles above that limit, the region of the joints around the loaded end presented degradation reflected on the bond-slip stiffness and on the increase of residual deformation. It was found that the normalized dissipated energies either obtained from the bond-slip relationship or from the load-slip response had the same trend. The experimental data allowed also to establish a relationship between the damage developed within the interface and the normalized slip. A preliminary estimate of fatigue limit based on those data is suggested. In 1994 fib Commission 6: Prefabrication edited a successful Planning and Design Handbook that ran to approximately 45,000 copies and was published in Spanish and German.Nearly 20 years later Bulletin 74 brings that first publication up to date. It offers a synthesis of the latest structural design knowledge about precast building structures against the background of 21st century technological innovations in materials, production and construction. With it, we hope to help architects and engineers achieve a full understanding of precast concrete building structures, the possibilities they offer and their specific design philosophy. It was principally written for non-seismic structures. The handbook contains eleven chapters, each dealing with a specific aspect of precast building structures. The first chapter of the handbook highlights best practice opportunities that will enable architects, design engineers and contractors to work together towards finding efficient solutions, which is something unique to precast concrete buildings. The second chapter offers basic design recommendations that take into account the possibilities, restrictions and advantages of precast concrete, along with its detailing, manufacture, transport, erection and serviceability stages. Chapter three describes the precast solutions for the most common types of buildings such as offices, sports stadiums, residential buildings, hotels, industrial warehouses and car parks. Different application possibilities are explored to teach us which types of precast units are commonly used in all those situations. Chapter four covers the basic design principles and systems related to stability. Precast concrete structures should be designed according to a specific stability concept, unlike cast in-situ structures. Chapter five discusses structural connections. Chapters six to nine address the four most commonly used systems or subsystems of precast concrete in buildings, namely, portal and skeletal structures, wall-frame structures, floor and roof structures and architectural concrete facades. In chapter ten the design and detailing of a number of specific construction details in precast elements are discussed, for example, supports, corbels, openings and cutouts in the units, special features related to the detailing of the reinforcement, and so forth. Chapter eleven gives guidelines for the fire design of precast concrete structures. The handbook concludes with a list of references to good literature on precast concrete construction. This document has a broad scope and is not focussed on design issues. Precast construction under seismic conditions is treated as a whole. 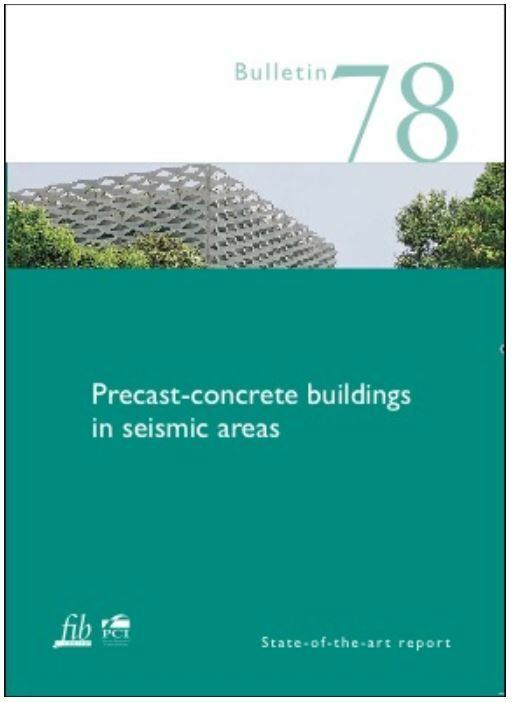 The main principles of seismic design of different structural systems, their behavior and their construction techniques are presented through rules, construction steps and sequences, procedures, and details that should lead to precast structures built in seismic areas complying with the fundamental performance requirements of collapse prevention and life safety in major earthquakes and limited damage in more frequent earthquakes.The content of this document is largely limited to conventional precast construction and, although some information is provided on the well-known “PRESSS technology” (jointed ductile dry connections), this latter solution is not treated in detail in this document.The general overview, contained in this document, of alternative structural systems and connection solutions available to achieve desired performance levels, intends to provide engineers, architects, clients, and end-users (in general) with a better appreciation of the wide range of applications that modern precast concrete technology can have in various types of construction from industrial to commercial as well as residential. Lastly, the emphasis on practical aspects, from conceptual design to connection detailing, aims to help engineers to move away from the habit of blindly following prescriptive codes in their design, but instead go back to basic principles, in order to achieve a more robust understanding, and thus control, of the seismic behaviour of the structural system as a whole, as well as of its components and individual connections. A procura de soluções de reforço mais eficientes que permitam aumentar a capacidade resistente de elementos estruturais sujeitos a flexão levou ao desenvolvimento de um sistema inovador de aplicação de armaduras de reforço coladas pelo exterior. Neste artigo descrevem-se os ensaios experimentais realizados e analisam-se os resultados obtidos com vigas de betão armado reforçadas com armaduras pós-instaladas de aço inoxidável com diferentes técnicas: Externally Bonded Reinforcement (EBR), Near Surface Mounted (NSM) e com o novo sistema de reforço desenvolvido - Continuous Reinforcement Embedded at Ends (CREatE). As vigas ensaiadas monotonicamente até à rotura em flexão de quatro pontos têm seção transversal em T e um vão livre de três metros. No novo sistema de reforço as armaduras são ancoradas por aderência no interior do elemento estrutural, o que associado à utilização de armaduras em aço inoxidável, possibilita aumentos de resistência e ductilidade consideráveis face às técnicas tradicionais de colagem pelo exterior. Neste artigo é apresentado um resumo das intervenções de conservação realizadas no século passado na Igreja de São Leonardo, bem como um resumo dos estudos realizados na última década. Em seguida mostra-se o padrão de degradação que ocorre nos portais de arenito da igreja e é analisada a evolução da alveolização que ocorreu nos portais de arenito ao longo dos últimos sessenta a setenta anos. No final, a inspeção visual dos portais de arenito é comparada com um levantamento realizado através de varrimento por laser tridimensional. Neste artigo apresentam-se as principais características da técnica de reforço Continuous Reinforcement Embedded at Ends (CREatE), os procedimentos de aplicação e as vantagens e limitações da sua utilização. Apresentam-se também os resultados dos ensaios realizados para avaliar o desempenho desta técnica no reforço à flexão de vigas de betão armado com secção transversal em T, reforçadas com armaduras pós-instaladas de aço inoxidável, coladas pelo exterior ou inseridas na zona de recobrimento. As vigas reforçadas com a técnica CREatE e ensaiadas à flexão em quatro prontos apresentaram elevados acréscimos de resistência e ductilidade quando comparadas com as vigas reforçadas com as técnicas tradicionais - Externally-Bonded Reinforcement (EBR) e Near Surface Mounted (NSM). As vigas reforçadas com a técnica CREatE foram sujeitas a carregamentos monotónicos ou cíclicos, tendo-se constatado que as roturas prematuras que estão associadas às técnicas tradicionais anteriormente referidas nunca foram observadas nas vigas reforças com esta técnica. Desenvolveu-se um modelo numérico simples, e com boa precisão, para modelar o desempenho das vigas de betão armado, sendo os resultados apresentados e discutidos. Apresentam-se e analisam-se um conjunto de ensaios realizados em vigas de betão armado reforçadas com armaduras pós-instaladas de aço ou de FRP, incluindo os referentes a uma nova técnica (CREatE) desenvolvida na FCT NOVA, tendo-se concluído que a técnica CREatE possibilita aumentos de resistência e ductilidade consideráveis face às técnicas tradicionais. O reforço das estruturas de betão armado com compósitos de FRP tem tido um incremento considerável nos últimos anos devido às características de durabilidade e das elevadas relações resistência-peso e rigidez-peso dos compósitos de FRP comparativamente com outros materiais de reforço. A fim de analisar o comportamento de diferentes soluções de reforço estrutural de vigas de betão armado (BA) com compósitos de FRP foi realizado um programa experimental que incluiu o ensaio de vigas de BA reforçadas com as seguintes técnicas de reforço: EBR (Externally-Bonded Reinforcement), NSM (Near Surface Mounted) e pela técnica CREatE (continuous reinforcement embedded at ends). As vigas de BA ensaiadas tinham seção em T, com um vão de 3,0 m e uma altura de 0,3 m e foram solicitadas em flexão em 4 pontos e testadas até a rotura. A técnica CREatE provou ser a mais eficaz das três alternativas testadas mobilizando a totalidade do CFRP e apresentando a maior capacidade resistente e a ductilidade mais elevada. Desde que o reforço estrutural começou a utilizar materiais de matriz polimérica reforçada com fibras (FRP) que o fenómeno do descolamento prematuro dos compósitos de FRP da superfície colada tem merecido especial atenção de vários autores. O conhecimento do processo de descolamento completo da ligação CFRP/betão ganhou assim, algum destaque nos últimos anos. Na generalidade, as ligações CFRP/betão têm sido analisadas com recurso métodos analíticos e numéricos sendo que, nos primeiros, se tem vindo a adoptar leis de aderência muito simplificadas das observadas experimentalmente. Apesar das simplificações adoptas nas análises analíticas, as expressões obtidas são muito importantes já que têm grande potencial em serem adoptadas pelos códigos ou normas nacionais e/ou interncionais. Por outro lado, e apesar de adoptarem leis de aderência mais refinadas, as análises numéricas permitem apenas a obtenção de expressões empíricas que podem não contemplar a generalidade dos casos estudados. Neste sentido, este trabalho apresenta um conjunto de soluções analíticas com base numa lei de aderência exponencial capaz de representar todas as não-linearidades envolvidas no descolamento da ligação CFRP/betão. Os resultados analíticos são confrontados com ensaios experimentais em que a técnica de colagem EBR foi utilizada. Contudo, o modelo analítico proposto pode ser também utilizado quando a técnica Near Surface Mounted (NSM) é adoptada. Adicionalmente, são apresentadas soluções analíticas para o caso em que o deslocamento relativo entre o CFRP e o betão é restringido por, e.g., um dispositivo de amarração mecânica instalado na extremidade oposta à aplicação de carga. O reforço estrutural com materiais de matriz polimérica reforçada com fibras (FRP) em diferentes tipos de elementos estruturais, e.g. pilares, vigas, lajes ou arcos, tem sido objecto de vários estudos. No entanto, os estudos sobre a avaliação da aderência entre ligações coladas em superfícies curvas são muito limitados, não se conhecendo trabalhos, quer analíticos ou numéricos, que se debrucem ainda sobre o efeito da temperatura neste tipo de ligações coladas. Todavia, os trabalhos disponíveis na literatura indicam, de forma unânime, que o descolamento do FRP da superfície curva exige a interacção entre os modos de fractura I e II. Neste sentido, o presente estudo propõe o desenvolvimento de uma solução analítica simples para simular ligações CFRP/betão com superfícies curvas de raio constante e que assumem ambas, isoladamente ou simulataneamente, as acções: (i) aplicação de uma força ao FRP; e (ii) uma a variação de temperatura. Dependendo dos coeficientes de dilatação térmica linear dos materiais colados e para níveis de temperatura não muito superiores à temperatura de transição vítrea (Tg) do FRP, o efeito da temperatura pode ser, do ponto de vista da resistência da ligação, prejudicial ou benéfico, ou seja, pode diminir ou aumentar a capacidade resistente da ligação. Diferentes critérios de rotura são adoptados e diferentes situações, e.g. raio da curva ou diferentes níveis de temperaturas, são abordadas. A solução analítica pressupõe que a lei de aderência relativamente ao modo II de fractura depende da temperatura e é representada por um exponencial, enquanto que para o modo I se assume uma lei de aderência do tipo linear com rotura frágil e cuja influência da temperatura é feita de acordo com os mesmos pressupostos da lei exponencial. A utilização de materiais compósitos de matriz polimérica (Fiber Reinforced Polymers - FRP) como armadura de reforço de diferentes elementos estruturas de várias naturezas (e.g. betão armado, aço, madeira ou alvenaria) tem vindo a suscitar o interesse da comunidade científica internacional. Inicialmente, a simples colagem pelo exterior dos compósitos de FRP aos elementos estruturais permitiu identificar um fenómeno de descolamento prematuro do compósito para níveis de extensão muito aquém dos seus limites de rotura. Com base na experimentação, algumas teorias têm surgido no sentido de explicar o fenómeno do descolamento prematuro dos FRPs. Por outro lado, outras técnicas de reforço têm sido propostas com o objetivo de adiar ou simplesmente eliminar esse fenómeno. Neste trabalho, são analisadas diferentes ligações coladas entre laminados de CFRP e outros materiais tais como, o betão armado, o aço e a madeira. Duas técnicas de reforço por colagem vulgarmente citadas na literatura internacional foram utilizadas: Externally Bonded Reinforcement (EBR) e Near Surface Mounted (NSM). Os resultados experimentais permitiram constatar que o desempenho local das ligações estudadas é distinto, tendo-se observado que as relações entre a tensão de aderência e o deslocamento relativo entre superfícies é: (i) na ligação CFRP/betão do tipo não linear e caracteriza-se por, após atingir-se uma tensão de aderência máxima, o descolamento ocorre quando a tensão de aderência tende para zero; (ii) na ligação CFRP/aço o desempenho é do tipo bi-linear, i.e. com um troço inicial retilíneo até atingir-se uma tensão de pico seguindo-se um troço linear descendente até tensão de aderência nula; e (iii) na ligação CFRP/madeira o desempenho é do tipo tri-linear, i.e. similar à ligação CFRP/aço mas com um troço constante a seguir ao troço linear descendente e que se esgota para um deslocamento relativo último. A demanda de energia, faz com que o homem esteja sempre a procura de novas soluções para a sua produção. Uma opção é a energia eólica, por se tratar de uma energia limpa, renovável e inesgotável. Para se evitar a ocupação das terras férteis, é natural a busca de soluções no mar. Portanto, neste trabalho é estudado o comportamento estrutural dinâmico de uma torre treliçada em concreto armado pós-tensionado por tirantes externos idealizada para uso offshore com a finalidade de suporte para turbinas eólicas de eixo horizontal. A torre está sujeita às ações gravitacionais, aerodinâmicas e hidrodinâmicas. Para considerar estas ações desenvolveu-se um código computacional específico usando a linguagem MATLAB. É proposto um modelo simplificado para análise bi-dimensional, utilizando-se elementos de pórtico plano com a finalidade de contornar as dificuldades de uma análise tridimensional. Embora específico para este tipo de torre, o codigo permite variar geometrias, carregamentos e alterações do nível do mar. Nas cargas aerodinâmicas élevado em conta o espectro de Von Karman. As cargas hidrodinâmicas são avaliadas pela equação de Morison. As cargas nodais equivalentes são determinadas por integração ao longo do elemento estrutural de acordo com o proposto por Souza. Os tirantes pós-tensionados são monitorados para não sofrerem esforços de compressão. A análise é realizada no domínio do tempo utilizando-se o algoritmo de integração de Newmark.. Através dos procedimentos adotados foi possível obter resultados para as freqüências, deslocamentose esforços, que se mostraram coerentes com os obtidos por modelos tri dimensionais mais complexos. O código desenvolvido permitiu a análise de forma simples, eficiente e confiável de torres treliçadas de concreto armado. O dimensionamento de vigas de madeira aos Estados Limites de Utilização (ELUt) tem limites muito apertados tanto para ações de curto prazo como para ações de longo prazo. Uma solução eficiente para este problema passa por aumentar as seções transversais das vigas. Porém, este tipo de solução não só acarreta um aumento de custos como também altera profundamente arquitetura original do edifício abrindo, por conseguinte, uma oportunidade para encontrar outras soluções mais eficientes. Neste sentido, o uso de armaduras de reforço em vigas de madeira pode ser considerado como uma solução promissora uma vez que as estruturas, novas ou velhas, manteriam o aspeto estético original sem introduzir nos elementos reforçados, um aumento significativo do seu peso próprio, melhorando o seu desempenho face a ações de curto e longo prazo. O presente estudo é dedicado à análise de vigas de madeira antigas reforçadas à flexão com materiais compósitos de fibras de carbono, vulgarmente designados na literatura internacional por Carbon Fiber Reinforced Polymers (CFRP). Neste trabalho, foram reforçados e ensaiados à flexão pavimentos antigos de madeira tendo-se analisado os respetivos desempenhos aquando da utilização de uma técnica de reforço por colagem tradicional (Externally Bonded Reinforcement - EBR) e aquando da utilização de uma técnica de reforço por colagem inovadora (Continous Reinforcement Embedded at Ends - CREatE). Os ensaios experimentais permitiram verificar que a técnica de colagem inovadora CREatE confere aos pavimentos de madeira uma maior rigidez e resistência face à técnica tradicional conseguindo se mobilizar a totalidade do compósito de CFRP. The wind energy production is a growing industry and the energy produced is renewable and environmentally cleaner than most of the other systems. The towers to support the wind energy generators may be built with precast concrete elements that are competitive in comparison to other structural systems. The evolution of the technology for wind energy production shows a clear need for larger wind turbines and longer blades and, consequently, taller towers, where precast concrete solutions are competitive. Truss precast concrete towers is a solution that complies with the demands of the present and future wind energy production. The research on the execution and structural behaviour of the connections between the tower elements is an important issue. This communication presents the experimental analysis of column to column connections for precast concrete towers. The tests included connections with commercial threaded bars welded to the rebars and connections with grouted corrugated steel sleeves. Thick joints (50 mm) filled with fibre reinforced grout and thin joints (3 mm) filled with epoxy resin were tested and analysed. O reforço à flexão de vigas de betão armado tem apresentado uma evolução com tendência para soluções onde são utilizadas armaduras à base de materiais compósitos de fibras de Carbono, Vidro, Basalto ou Aramida, aplicadas com as técnicas Externally Bonded Reinforcement (EBR) ou Near Surface Mounted (NSM). No entanto, o comportamento elástico-linear destes materiais e as roturas tendencialmente frágeis das soluções condicionam a sua utilização em estruturas onde se pretende alguma ductilidade. Por conseguinte, procurou-se desenvolver um sistema de reforço estrutural alternativo e inovador em que os materiais de reforço aplicados, conjuntamente com a solução de reforço, conseguissem minimizar ou eliminar os riscos de roturas prematuras e ao mesmo tempo aumentassem a ductilidade dos elementos reforçados. Neste trabalho, apresenta-se em pormenor este novo sistema de reforço à flexão de vigas de betão armado com armaduras de aço inoxidável ancoradas internamente por aderência. Neste sistema de reforço as armaduras são contínuas e pós-instaladas pelo exterior, ficando as extremidades ancoradas por aderência no interior do elemento estrutural. Apresentam-se e discutem-se os resultados dos ensaios realizados para avaliar o desempenho das vigas de betão armado reforçadas com esta nova técnica. Os modos de rotura observados são também motivo de análise mais detalhada. Evidenciam-se alguns benefícios na utilização deste sistema de reforço inovador, nomeadamente ao nível da capacidade resistente última das vigas de betão armado e fazem-se algumas recomendações para a sua aplicação e utilização na reabilitação de elementos estruturais degradados. The façades of St. Leonard’s church and the castle in Atouguia da Baleia village in western region of Portugal are monuments built in Middle Ages. Significant stone degradation patterns are visible, being the alveolization an outstanding case study.The more porous type of sandstones similar to the variety found in the vernacular architecture of Atouguia da Baleia was treated with ethyl silicates. In order to allow the study of the durability of these conservation treatments, accelerated artificial ageing salt crystallization tests were carried out and an automatic ageing chamber was developed.Physical and mechanical behaviour was assessed on consolidated specimens before and after accelerated artificial ageing salt crystallization tests. The authors propose a prediction of the durability of these consolidation treatments by means of the salt crystallization ageing results. The strengthening of reinforced concrete structures with FRP materials has received a considerable increment in recent years due to their durability characteristics, high strength-weight and stiffness-weight ratios of FRP compared to other materials.An experimental program was conducted in order to analyse the behaviour of different structural solutions to strengthen reinforced concrete beams with carbon FRP composites: EBR (Externally-Bonded Reinforcement), NSM (Near Surface Mounted) reinforcement and an innovative technique externally-bonded using continuous reinforcement embedded at ends (CREatE). The RC beams had a 3m span by 0.3m height and were tested until rupture in a 4-point bending test system.The CREatE technique has proved to be the most effective of the three alternatives tested, with the full utilisation of the CFRP and the highest strength, combined with the highest ductility. A reabilitação de estruturas de betão armado com compósitos de FRP tem tido uma grande aceitação em especial devido às excelentes características de durabilidade dos materiais compósitos, ao seu baixo peso e às suas elevadas prestações mecânicas. Contudo, o comportamento elástico-linear dos compósitos de FRP e a sua forma de aplicação pode originar roturas prematuras, quer na técnica de reforço EBR (Externally Bonded Reinforcement), em que o compósito é colado externamente, quer na técnica NSM (Near Surface Mounted) em que o compósito é inserido na zona do recobrimento. No sentido de minimizar o risco de roturas prematuras e ao mesmo tempo aumentar a ductilidade dos elementos reforçados, desenvolveu-se um novo sistema de reforço estrutural em que as armaduras são ancoradas internamente por aderência. A fim de validar o novo sistema de reforço estrutural com compósitos de FRP foi realizado um programa experimental que incluiu o ensaio de vigas de betão armado (BA) reforçadas com as seguintes técnicas de reforço: EBR, NSM e pela nova técnica CREatE (continuous reinforcement embedded at ends). Neste artigo descrevem-se os ensaios experimentais realizados e analisam-se os resultados obtidos. As vigas de BA ensaiadas tinham seção em T, com um vão de 3,0 m e uma altura de 0,3 m e foram solicitadas em flexão em 4 pontos e testadas até a rotura. A técnica CREatE provou ser a mais eficaz das três alternativas testadas mobilizando a totalidade do CFRP e apresentando a maior capacidade resistente e a ductilidade mais elevada. The design of timber beams has strict limits when it comes to the Serviceability Limit States (SLS) either in short-term or in long-term deflections. In order to face this aspect efficiently, the increase of the cross section of the beams might be considered as a solution. However, the prohibitive increase of the costs associated to this solution or the change of the initial architecturedesign of the building, opens the opportunity to find new and more efficient solutions. In that way, the use of additional reinforcements to the timber beams may be seen as a promising solution because either new or old structures would keep always their original aesthetical aspect with no significant self-weight increase and improving their behaviour to short and long-term actions.Therefore, the current study is dedicated to the analysis of composite timber beams where Fiber Reinforcement Polymers (FRP), steel or stainless steel are used to improve the stiffness, strength and deflection behaviour of old suspended timber floors. An experimental program was conducted where old suspended timber floors reinforced with CFRP strips were subjected to 4-point bending tests. A simplify nonlinear numerical model was developed to simulate the bending behaviour of the specimens and several other cases with other reinforcement configurations and different structural materials were assumed. The numerical analysis herein presented also takes into account both Ultimate and Serviceability Limit States of the reinforced specimens. Despite the number of applications with Carbon Fiber Reinforced Polymers (CFRP) have been grown in civil constructions, the studies available in the literature dedicated to the strengthening of old timber beams are very rare. This paper analyses the bending behaviour of old suspended timber floors flexurally-strengthened with CFRP laminates. A new bonding technique developed by the authors is presented which mainly consists on the embedding of both CFRP ends into the core of the timber beams. Differences between the traditional strengthening, i.e. Externally Bonded Reinforcement (EBR), and the new bonding technique are reported. A timber pavement without any CFRP laminate bonded to its soffit was also considered and the results were used as reference values for comparison with the strengthened specimens. The results revealed that the CFRP laminate used for the flexurally-strengthened of the specimen according to the EBR technique reached only 27.2% of the rupture strain of the CFRP laminate whereas the new bonding technique was capable to prevent the premature debonding of the CFRP from the timber substrate and the rupture of the CFRP laminate was observed. Furthermore, the strain distributions in the CFRP laminates and the bond stresses within the CFRP-to-timber interfaces were affected when the new technique was used. For the sake of better understanding the rupture modes observed, a numerical approach was developed which allowed us to conclude that, until the collapse of the beams, the timber never reached its yielding point and the collapse were mainly due to the poor quality of the timber (e.g. quantity of knot, cracks and irregular geometries) and the low shear capacity of the beams. Este trabalho apresenta o desenvolvimento de um software para análise de torres treliçadas em concreto armado, pós-tensionada por tirantes externos, com a finalidade de suporte para turbinas eólicas de eixo horizontal, em ambiente offshore. A torre está sujeita às ações gravitacionais, aerodinâmicas, hidrodinâmicas. Desenvolveu-se um código computacional, em linguagem MATLAB, específico para este tipo de torre. As dificuldades de uma análise tridimensional mais complexa foram reduzidas propondo-se um modelo simplificado bi-dimensional utilizando-se elementos de pórtico plano. As cargas de vento são variadas segundo o espectro de von Karman. Para as ondas marítimas e correntes são implementados o espectro de Pierson-Moskowitz e o de JONSWAP. As cargas hidrodinâmicas são avaliadas pela equação de Morison. Estas cargas são integradas ao longo dos elementos estruturais e transformadas em cargas nodais equivalentes, de acordo com o proposto por Souza. A análise é realizada no domínio do tempo com algoritmo de Newmark. Este software, por ser específico para este tipo de torre, possui facilidades na introdução de dados e na modelagem da estrutura. Com estas estratégias o modelo apresentou bons resultados para a avaliação de cargas, cálculo de freqüências naturais, resposta de deslocamentos, esforços e reações. Fiber Reinforced Polymers (FRP) is a recent technique to strengthen timber structures and the studies available discussing the debonding between these materials are limited. Therefore, the bond assessment between FRP composites and timber substrates is a topic that needs clarification. The present work analyses the debonding process between Carbon (C) FRP laminates and timber with rupture modes consistent with Mode II interfacial fracture, i.e. with the sliding mode where the bond stresses act parallel to the plane of the bonding surface. Several single-lap shear tests were performed and the experiments showed a nonlinear local behaviour of the CFRP-to-timber interface. An interfacial bond-slip model and its calibration procedure were also presented. Furthermore, the calibrated nonlinear bond-slip model was implemented in a numerical approach where the FRP composite and the adhesive are simulated by linear and nonlinear springs and the substrate is assumed rigid. The following influences on the debonding process of the CFRP-to-timber interface were also analysed: (i) the bonding technique (Externally Bonded Reinforcement - EBR; and Near Surface Mounted - NSM); and (ii) the use of an additional device to mechanically anchor the CFRP laminate. Besides the determination of the effective bond length for each bonding technique, a new concept defining the length beyond which the force at the anchorage device does not decrease with the bonded length and a proposal to estimate its value for any bonded length was also presented and discussed. The experimental tests have shown that the NSM technique has a better performance compared to the EBR technique, independently of the installation of mechanical anchorage devices. In the case of the EBR technique, the strains in the CFRP laminate increased at its vicinities due to the clamping force applied to the anchors, which affected the final strength of the interface. The paper presents a nonlinear analytical solution for the prediction of the full-range debonding response of mechanically-anchored FRP composites from the substrate. The nonlinear analytical approach predicts, for any monotonic loading history or bonded length the relative displacements (or slips) between materials, the strains in the FRP composite, the bond stresses within the interface and the stresses developed in the substrate. The load-slip responses FRP-to-substrate interfaces with a short and a long bonded lengths are motive of analysis and discussion. The solutions obtained from the proposed approach are also compared with other experimental results found in the literature. Reinforced concrete (RC) columns with various strengthening systems and different conditions were tested to cyclic lateral and axial loading for the purpose of performance assessment. Tests included confinement strengthening with carbon-fiber-reinforced polymer (CFRP) sheets, longitudinal strengthening with CFRP laminates and confining CFRP jacket, longitudinal strengthening with stainless steel bars and confining CFRP jacket, tested column until reinforcing steel failure, repair and CFRP confining jacket, and longitudinal strengthening with stainless steel bars. The analysis of the tests results as to load-displacement relationship and energy dissipation led to the conclusion that the use of external longitudinal strengthening with CFRP confinement is effective for performance retrofitting and upgrading, and viable in terms of execution. The load capacity increase due to strengthening reached 36–46% with good ductile behaviour. Nonlinear numerical modelling was carried out using two approaches which represent reasonably well the global performance of the studied columns for the prediction of the ascending load-displacement relationship and the peak load values in each cycle. This study presents the testing, completion, and analysis of different external strengthening systems applied to rectangular reinforced concrete columns with rounded corners. The experimental study included confinement strengthening with carbon-fiberreinforcedpolymer (CFRP) sheets, longitudinal strengthening with CFRP laminates and confining CFRP jacket, longitudinal strengtheningwith stainless steel bars and confining CFRP jacket, tested column until reinforcing steel failure, repair and CFRP confining jacket,and longitudinal strengthening with stainless steel bars. The analysis of the experimental results included lateral load-displacement relationship, energy dissipation, ductility, and curvature damage assessment classifications. It was concluded that the use of externallongitudinal strengthening combined with CFRP confinement is effective for enhancing performance and is viable in terms of execution. The load capacity increase due to strengthening reached 36–46% with good ductile behavior (failure was reached at 4.4% drift ratio). Despite some differences between CFRP laminates and stainless steel, all columns presented moderate degrees of damage between 1 and 2% drift ratio and minor damage degree until 1% drift ratio. 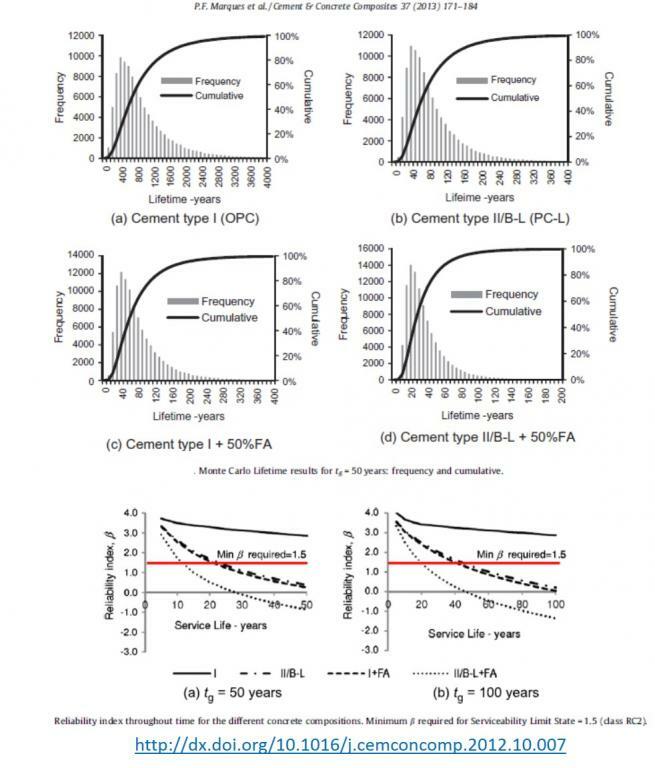 This article discusses mathematical modelling of the long-term performance of concrete with different supplementary cementitious materials in a maritime environment. The research was carried out in the light of the national Portuguese application of the CEN standards with mandatory requirements for a performance-based design approach. Laboratory investigations were performed on concrete compositions based on CEM I and CEM II/B-L in which the cement was partially replaced by either 0% (reference composition) or 50% of low calcium fly ash (FA). Concrete compositions were made with the objective to achieve service lives of 50 and 100 years with regard to steel corrosion. Test results of compressive strength, chloride potential diffusion and electrical resistivity are reported for different curing ages of 28, 90, 180 and 365 days. Chloride diffusion results were used for the implementation of modelling equations in order to estimate the design lifetime regarding reinforcing steel corrosion. A performance-based approach using a probabilistic method was carried out and the results obtained are compared with the requirements according to the Portuguese prescriptive approach. The modelling results show that FA blended compositions have better performance compared to those with Portland cements, especially if curing ages beyond 28 days are considered. The use of Fiber Reinforced Polymers (FRP) in the strengthening of timber structures is quite recent and few studies have discussed the debonding between these materials. The analysis of the Mode II debonding process between FRP composites and timber elements may be of great importance because this mode is predominant in the case, for instance, of the bending of beams. Knowing the appropriate bond-slip model to use on the estimation of the performance of FRP-to-timber interfaces is greatly relevant. Under such circumstances, a detailed knowledge of all the states that CFRP-to-timber interfaces are subjected to is important as well. The current work gives answers to these aspects proposing an analytical solution based on a tri-linear bond-slip model that is capable of describing precisely the full-range debonding behavior of FRP-to-timber interfaces. Thus, the purpose of this study is to contribute to existing knowledge with an analytical solution capable of describing the full-range debonding process between a FRP composite and a substrate. The analytical solutions herein proposed are also compared with the results obtained from several experiments based on single-lap shear tests. Comparisons at different load levels and different bonded lengths are presented. The slips, strains in the CFRP composite and bond stress distributions within the bonded interface are emphasized in the text. The complete load-slip response of CFRP-to-timber interface is also analyzed. Each state of the debonding process is described and each one is identified in the load-slip curve. Five experimental cyclic tests were carried out on reinforced concrete rectangular columns with rounded corners, different condition (new and damaged) and different strengthening systems: that included confinement through carbon fiber (CFRP) jackets, anchor dowels, high strength repair mortar and external longitudinal stainless steel bars. Lateral load - displacement relationship, energy dissipation, ductility and curvature results were analyzed together with two different damage assessment classifications. The overall evaluation concludes that the use of external confinement with CFRP on RC columns is viable and of effective performance enhancement alone and combined with other techniques. Damaged columns that were retrofitted showed an increased load capacity up to 20% along with good ductile behavior within the limits of the US, European, Canadian and Japanese codes, with minor/moderate degree of damage at 1% drift ratio and moderate degree of damage at 2% drift ratio. Ever since Fibre Reinforced Polymers (FRP) began to be used in the repair or strengthening of structural elements, the premature debonding of the FRP composite from the substrate has been an important drawback that have been motive of several studies. The importance of knowing and describing the full-range behaviour of FRP-to-parent material interfaces rigorously is therefore urgent. However, at present, there are no analytical solutions that describe the full-range behaviour of such interfaces that help us to understand the full debonding phenomena of FRP-to-parent material interfaces free of any mechanical anchorage devices. Therefore, the aim of this study is to contribute the advances of that knowledge through an analytical solution by means of an exponential bond-slip model that is known to represent the nonlinearities involved in the debonding process of the FRP composite from the substrate. Analytical solutions for the slips, strains in the FRP composite, bond stress distributions along the bonded interface and stresses in the substrate are presented. 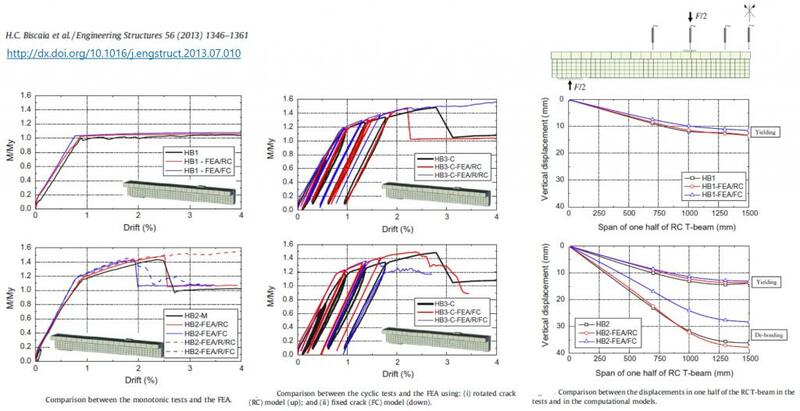 A full-range load-slip analysis is also discussed. A set of three old suspended timber floors were flexurally-strengthened with Carbon Fiber Reinforced Polymers (CFRP) strips in order to investigate the effectiveness of externally bonding FRP to their soffits. The specimens were from an old building and 740 mm-wide bands were transferred to the laboratory in order to be tested in a 4-point bending test. One specimen was tested with no strengthening system and the results obtained were used as reference values for comparison with the specimens those were externally bonded and reinforced (EBR) with CFRP strips. Two similar EBR systems were studied: (i) keeping both ends of the CFRP strips free of any restriction (traditional technique); and (ii) embedding both ends of the CFRP strips into the timber, thus providing a bonding anchorage of the strips (new technique). The installation of the new strengthening system comprises the opening of holes in the timber and the creation of a transition curve between the holes and the timber surface. This transition curve allows a smooth transition of the CFRP laminate between the hole and the timber surface, thus avoiding stress concentrations in this area. After the opening of the holes, the resin is applied inside the hole and on the beam surface, and then the CFRP laminate is mounted. The load-carrying capacity of the specimens, the rupture modes, the strains and bond stress distributions within the CFRP-to-timber interface are presented. A nonlinear numerical simulation of the specimens based on the mid-span cross-sectional equilibrium is also presented. The results showed that the use of the new strengthening system enhances the performance of the specimens when compared with the traditional strengthening system. This study presents an analysis of Carbon Fiber Reinforced Polymers (CFRP)-to-parent material interfaces based on 40 single-lap shear tests intended to highlight the strength of the interfaces under fracture mode II. Three different substrates are analyzed: timber;concrete and steel, using the same CFRP laminates and adhesive agent. The Externally Bonded Reinforcement (EBR) technique was used throughout the study. The results show that the CFRP-to-timber interfaces had the highest strength but also showed that these interfaces need a longer bonded length in order to reach maximum strength, i.e., CFRP-to-timber interfaces had the longest effective bond length. The local non-linear bond-slip curve of CFRP-to-concrete can be approximated to exponential curves, whereas the CFRP-to-timber or steel interfaces showed tri-linear and bi-linear bond-slip relations, respectively. Also, the CFRP-to-timber interfaces revealed the highest fracture energy. Measurements in civil engineering load tests usually require considerable time and complex procedures. Therefore, measurements are usually constrained by the number of sensors resulting in a restricted monitored area. Image processing analysis is an alternative way that enables the measurement of the complete area of interest with a simple and effective setup. In this article photo sequences taken during load displacement tests were captured by a digital camera and processed with image correlation algorithms. Three different image processing algorithms were used with real images taken from tests using specimens of PVC and Plexiglas. The data obtained from the image processing algorithms were also compared with the data from physical sensors. A complete displacement and strain map were obtained. Results show that the accuracy of the measurements obtained by photogrammetry is equivalent to that from the physical sensors but with much less equipment and fewer setup requirements. This article presents the comparison between 6 theoretical models of axially confined concrete columns with the experimental results of 7 tested columns of different authors. This study analysed the accuracy of 6 different confinement models for square columns taking into account the results of experimental tests on 7 RC columns confined with CFRP sheets with different dimensions and carried out by different authors. The profile of curves, the peak/failure values, the stress–strain and axial–to–lateral relations were studied to conclude which models show the best correlation with the experimental test results. Quantification of this deviation was carried out for key parameters. Some models predicted peak values with reasonable accuracy – Manfredi & Realfonzo, Campione & Miraglia, Lam & Teng, Pellegrino & Modena – although for the whole load–strain behaviour only the model of Faustino, Chastre & Paula seemed to be reasonably accurate in most cases. The influence of compressive stresses exerted on FRP-concrete joints created by external strengthening of structural members on the performance of the system requires better understanding especially when mechanical devices are used to anchor the externally bonded reinforcement (EBR). The numerical modelling of those systems is a tool that permits insight into the performance of the corresponding interfaces and was used in the present study, essentially directed to analyse the effectiveness of EBR systems under compressive stresses normal to the composite surface applied to GFRP-to-concrete interfaces. The compressive stresses imposed on the GFRP-to-concrete interface model the effect produced by a mechanical anchorage system applied to the EBR system. An experimental program is described on which double-lap shear tests were performed that created normal stresses externally applied on the GFRP plates. A corresponding bond-slip model is proposed and the results of its introduction in the numerical analysis based in an available 3D finite element code are displayed, showing satisfactory agreement with the experimental data. The results also showed that lateral compressive stresses tend to increase the maximum bond stress of the interface and also originate a residual bond stress which has significant influence on the interface strength. Also, the strength of the interface increases with the increase of the bonded length which have consequences on the definition of the effective bond length. Despite the fact that FRP composites are a reliable structural material with reasonable durability performance, the environment to which the strengthened structure is exposed can make the strengthening system vulnerable. In this study, the effectiveness of Externally Bonded Reinforcement (EBR) systems when external compressive stresses are applied to glass (G) FRP-to-concrete interfaces in several aggressive environments is analysed. The compressive stress imposed on the GFRP-to-concrete interface intends to simulate, for instance, the effect produced by a mechanical anchorage system applied to the EBR system. The design and the region to set those mechanical anchorage systems are not yet well understood and are mostly applied without really knowing how they will behave. This work shows an exhaustive experimental programme based on several double shear tests subjected to salt fog cycles, dry/wet cycles and two distinct temperature cycles: from -10ºC to +30ºC and +7.5ºC to +47.5ºC. The Mohr-Coulomb failure criterion was found to provide a good representation of the performance of the GFRP-to-concrete interface, and changes of cohesion and internal friction angle of those interfaces during the hours of exposure to the aggressive environments are reported. A reabilitação de um edifício tem muitas vezes de ser analisada e efetuada tendo em conta os edifícios vizinhos e a envolvente. No caso particular da reabilitação de um edifício, à partida devem considerar-se, de forma integrada, todos os requisitos que não são cumpridos face aos padrões atuais. Com base nessa análise, e tendo em conta muitas vezes condicionantes vários, que vão desde estéticos, técnicos, culturais a económicos, e que dependem em larga medida das tipologias construtivas, a intervenção tem de ser cuidadosamente concebida, preparada e executada. Apresentam-se sinteticamente as tipologias construtivas mais correntes, o contexto legislativo português da construção e específico da reabilitação. Efetua-se uma análise à legislação vigente, detalhando com maior detalhe o Regime Especial da Reabilitação Urbana, que possibilita dispensas de cumprimentos regulamentares mas apenas relativos a aspetos construtivos. Por esse motivo apresenta-se também uma síntese de aspetos relativos à segurança estrutural na reabilitação de edifícios com tipologias correntes. Pretende-se, através desta síntese, contribuir para uma visão mais integrada da reabilitação. Sandstone building stones are important in the building elements of Portuguese monuments, particularly in the western and southern regions. 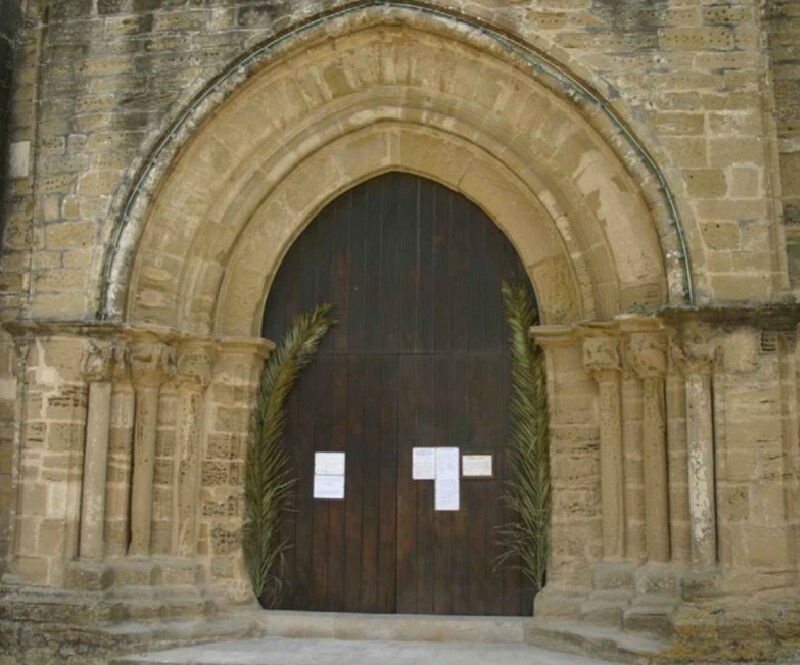 Alveolization due to salt crystallization was the most important degradation pattern found in the old sandstone façades of St. Leonardo’s Church, a Portuguese monument built in Atouguia da Baleia village in the Middle Age. 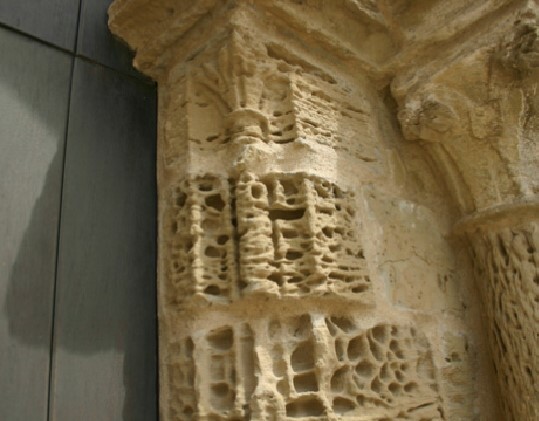 Its sandstone façades have a widespread distribution of deep and large alveolization patterns mainly on portals and vaults that appeared as a result of the past and present vicinity of seashore. In this paper a summary of conservation interventions carried out in the past century in St. Leonardo’s Church is presented, as well as a summary of the studies carried out in the last decade. Then the degradation patterns on the sandstone walls of St. Leonard’s Church are shown and finally the evolution of the alveolization occurred on the sandstone walls over the last sixty to seventy years is analysed. Visual inspection of sandstone walls is compared with a survey performed by laser scanning, which seems to be a powerful technology to carry out 3D geometric modelling of the building elements of stone monuments and also the 3D mapping of stone degradation patterns. Nas últimas décadas, os estudos sobre o desempenho de vigas de betão armado (BA) reforçadas com materiais compósitos de matriz polimérica têm aumentado. Porém, muitas dúvidas e questões persistem, fazendo realçar algumas lacunas sobre o conhecimento adquirido. Um desses aspetos reside na forma de modelar a ligação entre o compósito e o betão. É também sabido que a modelação da abertura de fendas no betão (discreta ou distribuída numa banda) influência o desempenho da ligação entre os materiais colados. Nesse sentido, apresentam-se, neste trabalho, os resultados numéricos obtidos da modelação numérica não-linear a 3D de vigas de BA sujeitas a flexão de 4 pontos. Os resultados numéricos são confrontados com os experimentais e os diferentes parâmetros que influenciam a ligação analisados e discutidos. Apresentam-se neste artigo os resultados dos ensaios realizados à escala real de um conjunto de vigas de betão armado com secção em T, levados a cabo para avaliar o desempenho das armaduras de aço inoxidável no reforço à flexão de vigas de betão armado com armaduras pós-instaladas aplicadas com as técnicas de reforço EBR (Externally Bonded Reinforcement), NSM (Near Surface Mounted) e EBR com ancoragens metálicas nas extremidades. Os ensaios realizados demonstraram que as técnicas de reforço utilizadas permitem aumentar a rigidez à flexão em regime elástico. Porém, a viga reforçada através da técnica EBR teve uma rotura prematura antes de atingir o valor da carga de cedência da viga não reforçada. Já as vigas reforçadas com as técnicas NSM e EBR com ancoragens mecânicas superaram o valor da carga de cedência da viga de referência, e as ancoragens mecânicas proporcionaram bastante ductilidade à viga reforçada com esta técnica. Sandstones are very important in the building elements of world’s historical and cultural heritage. The façades of St. Leonard’s church in Atouguia da Baleia village in western region of Portugal are an outstanding example of the effect of alveolization on going for several centuries. In Middle ages there was an harbour and a sodium chloride rich environment near this church was responsible for this significant stone degradation pattern. A new approach of consolidating products application on stone walls façades based on Karsten pipe using total head to allow full absorption of stone was followed. Experimental research, based on physical and mechanical tests, was carried out on selected representative samples of a variety of sandstones on monuments treated with ethyl silicates in order to assess the effectiveness and harmfulness of these treatments. The comparison of results between traditional immersion applications and Karsten pipe’s based procedure on stone monument indicate the potential viability of this new approach when difficult conditions of consolidating products’ absorption occurs on stone monuments. The wind energy production is a growing industry and the energy produced is renewable and environmentally cleaner than most of the energy production systems. The supports of the wind energy generators may be built with precast concrete elements. The precast solutions for these structures are competitive in comparison to other structural systems. The evolution of the technology for wind energy production shows a clear need for larger wind turbines and longer blades and, consequently, taller towers. The experience also shows that precast concrete solutions increase their competitiveness as the tower height increases. Offshore wind farms have some advantages in relation to onshore ones, which explains recent investments in this area. Also in this case, the durability of concrete in the sea when compared to steel, gives advantages to precast concrete in relation to other structural solutions. This paper shows the evolution of the supports of the wind energy generators and the advantages of the use of precast concrete towers. Nowadays fiber reinforced polymer (FRP) composites play an important role in the strengthening of structures. Different methods can be used to apply these materials: the externally bonded reinforcement (EBR), and the near surface mounted (NSM) using strips and NSM rods. There are only a few studies comparing these methods or presenting an efficient model to simulate these strengthening techniques. This study looks mainly at the analysis of the interface between FRP-to-parent material bonded joints. The paper examines, through a new discrete model based on axial and shear springs, the performance of FRP-to-parent material bonded joints for EBR or NSM techniques using strips or composite rods. In order to implement the model a routine in MATLAB was developed and several bond–slip curves were assumed. The results revealed that load–slip curves or bond stresses, strains or slippages along the bonded length obtained from several bond–slip curves are similar to the analytical and other numerical solutions found in literature. In what concerns the adhesion between two different materials, and assuming the same bond characteristics for the three fiber strengthening techniques, the NSM system using FRP strips had the highest maximum load transmitted to the FRP strip combined with the lowest effective bond length. The results obtained from the proposed model were also very accurate with that obtained from an analytical solution found in literature that simulates the debonding phenomenon of FRP-to-concrete interfaces between to adjacent cracks. There are many issues concerning the performance behaviour of FRP-to-concrete interfaces at elevated service temperatures (EST). At EST, i.e. slightly above the glass transition temperature (Tg), some properties associated with the FRP composites, such as the stiffness, strength or the bond characteristics, degrade. This is a crucial issue and there are only a few studies that take into account such effects on FRP-to-concrete interfaces at EST. This paper examines, through a numerical analysis, the performance of FRP-to-concrete bonded joints at EST using a new discrete model based on truss elements and shear springs. The External Bonded Reinforcement (EBR) systems subjected to EST are analyzed. The numerical discrete model was implemented in a MATLAB routine and the bond-slip curves of the interfaces at EST were obtained from a model found in literature. The numerical results revealed that the interface at EST behaves similarly to one with two equal mechanical loads applied at both ends of the FRP plate. The load-slip curves or bond stresses, strains or slippages along the bonded length obtained from several bond-slip curves at different temperatures were obtained. Two different single-lap shear tests were simulated at steady-state (steady temperature followed by load increase) and transient state (steady load followed by temperature increase). Regarding the influence of the temperature on the adhesion between the FRP and concrete, the results showed that an increase in the temperature at an earlier situation, i.e. during a period where temperature had no influence in the concrete deformations, leads to an increase in the effective bond length of the interface affecting the initial strength of the interface. The use of Fibre Reinforced Polymers (FRP) has recently become widespread in the construction industry. However, some drawbacks related to premature debonding of the FRP composites from the bonded substrates have been identified. One of the solutions proposed is the implementation of mechanical anchorage systems. Although some design guidelines have been developed, the actual knowledge continues to be rather limited. Thus, designers and researchers have not yet achieved any consensus on the efficiency of any particular anchor device in delaying or preventing the premature debonding failure mode that can occur in Externally Bonded Reinforcement (EBR) systems. This paper studies the debonding phenomenon of FRP anchoring systems with a linear variable width, with a numerical analysis based on the Distinct Element Method (DEM). Combined systems with constant and variable width are also discussed. The FRP-to-parent material interfaces are modelled with a rigid-linear softening bond–slip law. The numerical results showed that it is possible to attain the FRP rupture force with a variable width solution. This solution is particularly attractive when the bonded length is shorter than the effective bonded length because the strength of the interface can be highly incremented. Experimental research was carried out about into ethyl silicate applications on sandstone samples. Consolidation was assessed by drilling strength, impregnation depth and also monotonic and cyclic uniaxial compressive tests in order to evaluate the compressive mechanical behaviour of treated sandstone. The stress–strain compression diagrams showed a significant increase in the values of mechanical parameters after consolidation treatments. The difference in compressive strength values between monotonic and cyclic compression disappears after the consolidation treatments. An equation of consolidation effect was obtained from an analytical model by means of compressive behaviour assessed by stress–strain diagrams. These sandstone samples have values of porosity similar to the more weathered variety of sandstone found in facades of monuments in the village of Atouguia da Baleia, in the western region of Portugal. The most important degradation pattern found on sandstone building stones is alveolization caused by salt crystallization since the Middle Ages. Fibre reinforced polymer (FRP) composites may prematurely debond from the surface of concrete, i.e. before its elastic resistance is exhausted. This is a very common situation and can be aggravated if additional factors are not taken into account. These factors include the type of surface preparation, the exposure to aggressive environmental action, the tensile concrete strength or fatigue and creep loading to which the structural element may be subject. An experimental programme based on double shear tests was undertaken to analyse the influence of some of these factors on the performance of the interface between composite glass fibres (GFRP) and concrete. The results allowed the determination and comparison of maximum loads transmitted to the GFRP plates and maximum bond stresses obtained considering various surface treatments and aging conditions. Bond–slip curves were also determined. The experimental results are compared with those obtained from a numerical analysis. O desenvolvimento da engenharia de estruturas tem tido grandes avanços nas últimas décadas, baseados em novos meios de cálculo e na investigação em novos materiais e tecnologias a eles associadas. Por sua vez, as atividades de reparação e reforço têm vindo a incrementar devido ao envelhecimento e à degradação das estruturas de betão, o que consequentemente tem dado origem ao aparecimento de novos materiais e tecnologias de reparação e reforço de estruturas. A utilização destes novos materiais na construção tem vindo a substituir outros materiais e técnicas existentes, requerendo, no entanto, mais estudos sobre o seu real comportamento quer em termos de caracteristicas mecânicas quer em termos de durabilidade. This study looks at the analysis of the interface between Fiber Reinforced Polymer (FRP)-to-parent material bonded interfaces. The performance of FRP-to-parent material bonded joints for the Externally Bonded Reinforcement (EBR) technique is numerically modelled with the PFC2D software which is based on the Distinct Element Method (DEM). It is believed that this represents the first time the DEM has been used to simulate the delamination process of FRP-to-parent material bonded joints. In order to validate the analysis performed with the DEM, a Pull-out test with no slip constrains was modelled and different linear bond-slip laws were assumed. The numerical results revealed that the DEM is capable of estimating with good accuracy the exact solutions of bond stresses, strains or slippages along the bonded length for linear bond-slip laws. The bi-linear law available in PFC2D was then compared to the numerical results obtained from other another code developed by the author. The delamination process of Pull-out tests with slip constrain at one of the free ends of the FRP plate is also described and analyzed. The results obtained from the DEM revealed that the delamination process ends with stiffness equal to the axial stiffness of the FRP plate. This evidence highlights the need to design mechanical anchor devices capable of preventing premature debonding which is known to occur on EBR systems. Systems externally reinforced by bonded fibre reinforced polymers (FRP) are widely used in the retrofitting and strengthening of reinforced concrete (RC) structures. A drawback of the usage of this technique lies on the uncertainty of the long term behaviour of those reinforcements. Researchers have paid heed to this aspect and a number of tests and alternative techniques have recently been described. An experimental programme developed to supplement work of the authors recently published and which focused on specimens not submitted to aggressive environments is described. The specimens used have the same geometry as in the previous paper, but they were exposed to salt fog cycles and dry/wet cycles with salt water for periods of 3000 h, 5000 h and 10,000 h. The interface of the glass fiber polymeric composite (GFRP)-to-concrete was characterized after the systems underwent such aggressive conditions. The GFRP wrap comprised of two layers and wet lay-up technique was used on its preparation and application. 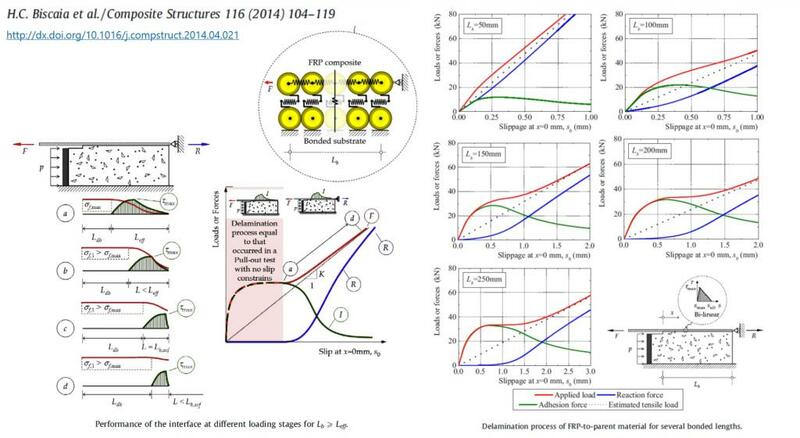 The cohesion and friction angle for GFRP-to-concrete interfaces were measured tat selected stages of ageing process and envelope failure laws were obtained based on the Mohr–Coulomb failure criterion. Changes of 27% in cohesion and 8% in the friction angle were found due to the attack of the interface and consequences of the changes are examined. 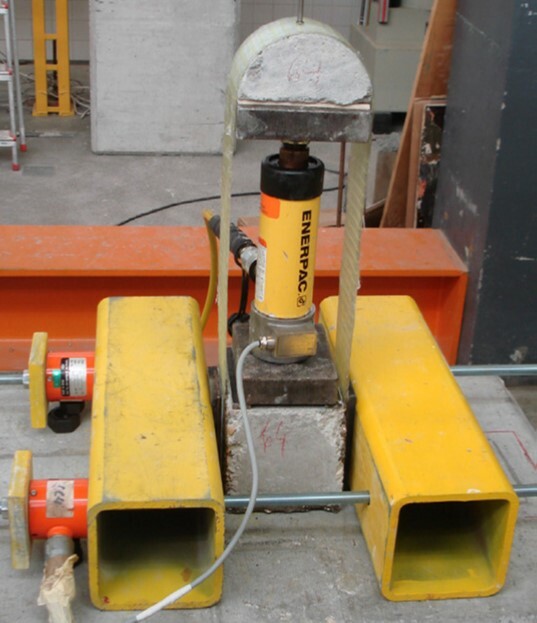 Gravity loads can affect a reinforced concrete structure’s response to seismic actions, however, traditional procedures for testing the beam behaviour do not take this effect into consideration. 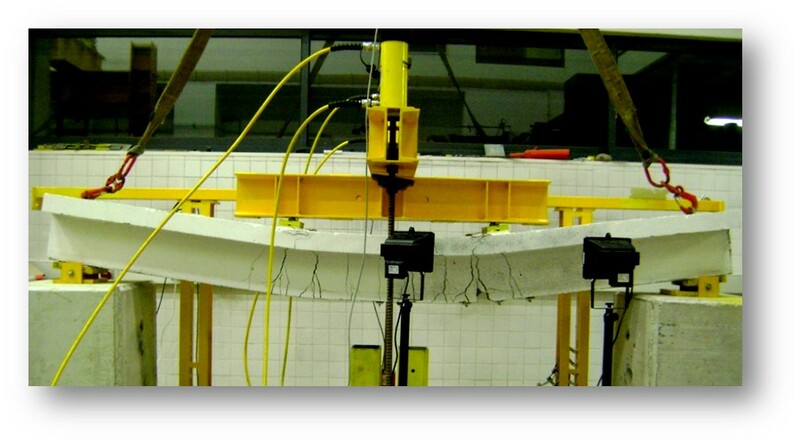 An experimental campaign was carried out in order to assess the influence of the gravity load on RC beam connection to the column subjected to cyclic loading. The experiments included the imposition of a conventional quasi-static test protocol based on the imposition of a reverse cyclic displacement history and of an alternative cyclic test procedure starting from the gravity load effects. The test results are presented, compared and analysed in this paper. The imposition of a cyclic test procedure that included the gravity loads effects on the RC beam ends reproduces the demands on the beams’ critical zones more realistically than the traditional procedure. The consideration of the vertical load effects in the test procedure led to an accumulation of negative (hogging) deformation. This phenomenon is sustained with the behaviour of a portal frame system under cyclic loads subject to a significant level of the vertical load, leading to the formation of unidirectional plastic hinges. In addition, the hysteretic behaviour of the RC beam ends tested was simulated numerically using the nonlinear structural analysis software – OpenSees. The beam–column model simulates the global element behaviour very well, as there is a reasonable approximation to the hysteretic loops obtained experimentally. The enhancement of the mechanical behaviour of reinforced concrete (RC) columns with regard to axial compression is an up-to-date concern, namely if the strengthening of existing structures is to be considered. In view of this, external confinement with FRP systems has been tested in order to become a feasible technique, since it seems to have important advantages over other systems such as its high strength and stiffness in relation to weight and its improvement of strength and ductility while confining RC columns. Square columns confined with FRP show a more complex interpretation of their behaviour, when compared to circular columns. Accordingly, the present work includes the analysis of two experimental programs regarding axial compression on CFRP confined RC columns: one on circular and square specimens with different corner radii; the other on square specimens with side lengths ranging from medium to large. Based on this, modelling equations are proposed to predict maximum axial load, axial strain and lateral strain, as well as the entire behaviour until failure with curves of axial load-axial strain and axial load-lateral strain. The modelling results show that the analytical curves are in general agreement with the presented experimental curves for a wide range of dimensions. During the last years several projects and studies have improved the knowledge about Textile Reinforced Mortar (TRM) technology. TRM has already been used in strengthening masonry and reinforced concrete structural elements such as walls, arches, columns and beams. This material is presented as a real alternative to the use of fibre-reinforced polymers (FRP) in situations where these composites have presented some drawbacks or their use is banned. Textile Reinforced Mortar show a complex mechanical behaviour derived from the heterogeneity of the constituent materials. This paper aims to deepen the knowledge of this composite material in terms of tensile behaviour. Following this scope, this paper presents an experimental campaign focused on thirty one TRM specimens reinforced with four different reinforcing ratios. The results are analysed and contrasted with two distinct models. i) the Aveston-Cooper-Kelly theory (ACK) which is based on a tri-linear analytical approach; and ii) a nonlinear numerical simulation with a 3D Finite Element code. The Finite Element Analysis (FEA) of the TRM tensile tests also showed no significant dependence on the basalt-to-mortar interface, i.e., the choice of a bond-slip curve in order to reproduce the bond stresses and slippages along the interface is irrelevant and it can be simply considered as rigid interface. The strengthening of reinforced concrete structures with laminates of fibre reinforced polymeric (FRP) matrix has received considerable attention, although there still is lack of information on the more adequate modelling of the interface between FRP composites and concrete. An experimental programme is described and was designed to: (i) characterise glass FRP-to-concrete interface by shear tests; (ii) analyse reinforced concrete T-beams with external GFRP plates. Double shear tests were carried out based on 15 cm cubes with GFRP bonded to two opposite faces. The concrete T-beams were 3.0 m long and 0.28 m high and were loaded till rupture in 4-point bending tests. The external reinforcement system showed great strength increment in relation to the non retrofitted T-beam, confirming to be an effective approach to the flexural strengthening of RC beams. The computational analysis was based on a three dimensional smeared crack model. In total, 22 computational analyses were made. 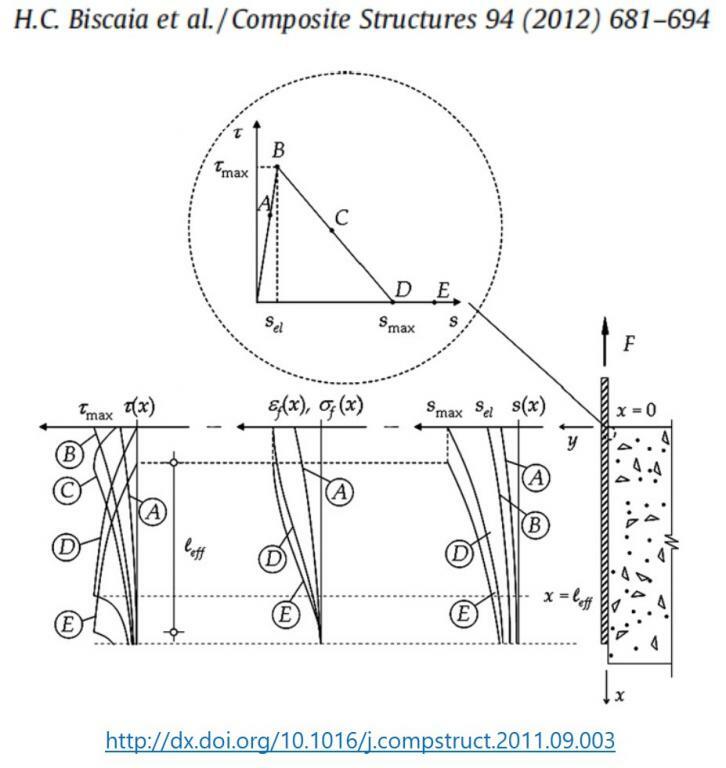 Models with and without interface FE associated with Mohr–Coulomb failure criterion for the FRP-to-concrete interface were defined and different strength types of concrete were considered. 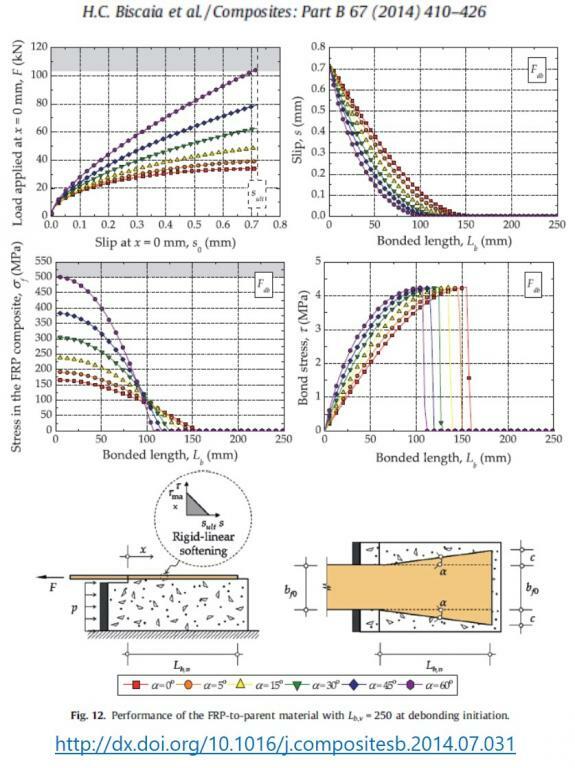 The rigid interface does not predict the rupture of the T-beam with precision; however, the results obtained for low concrete strengths revealed that rigid interfaces can be assumed when conjugated with the fixed crack approach. Consequently, a slightly stiffer response of the beam is obtained. The maximum bond stresses obtained from Finite Element Analysis (FEA) revealed that the models with rigid interfaces developed lower bond stresses due to the lack of relative displacements between both materials. The effects of assuming either fixed or rotated crack approaches were also compared. The rotated crack conjugated to a fine mesh in the vicinity of the GFRP-to-concrete stress led to a very good estimation of the bond stresses along the interface. The prediction of the T-beam rupture was also estimated with better results when the rotated crack was used in the model. In general, the FEA predicted with very good results the de-bonding of the GFRP-to-concrete interface of T-beams externally bonded with GFRP composites. The recent development of inorganic based composites as low-cost materials in reinforced concrete structural strengthening and precast thin-walled components, requires the creation of models that predict the mechanical behaviour of these materials. Textile Reinforced Mortar (TRM) shows complex stress–strain behaviour in tension derived from the heterogeneity of its constituent materials. This complexity is mainly caused by the formation of several cracks in the inorganic matrix. The multiple cracking leads to a decrease in structural stiffness. Due to the severe conditions of the serviceability limit state in structural elements, the prediction of the stress–strain curve is essential for design and calculation purposes. After checking other models, an empirical nonlinear approach, which is based on the crack control expression included in the Eurocode 2, is proposed in this paper. Following this scope, this paper presents an experimental campaign focused on 31 TRM specimens reinforced with four different reinforcing ratios. The results are analysed and satisfactorily contrasted with the presented non-linear approach. Reinforced concrete (RC) beams externally strengthened with glass fiber-reinforced polymer (GFRP) strips bonded to the soffit may see their load-carrying capacity reduced due to environmental conditions—especially due to the deterioration of bond between the adhesively bonded laminates and concrete, causing premature failure. 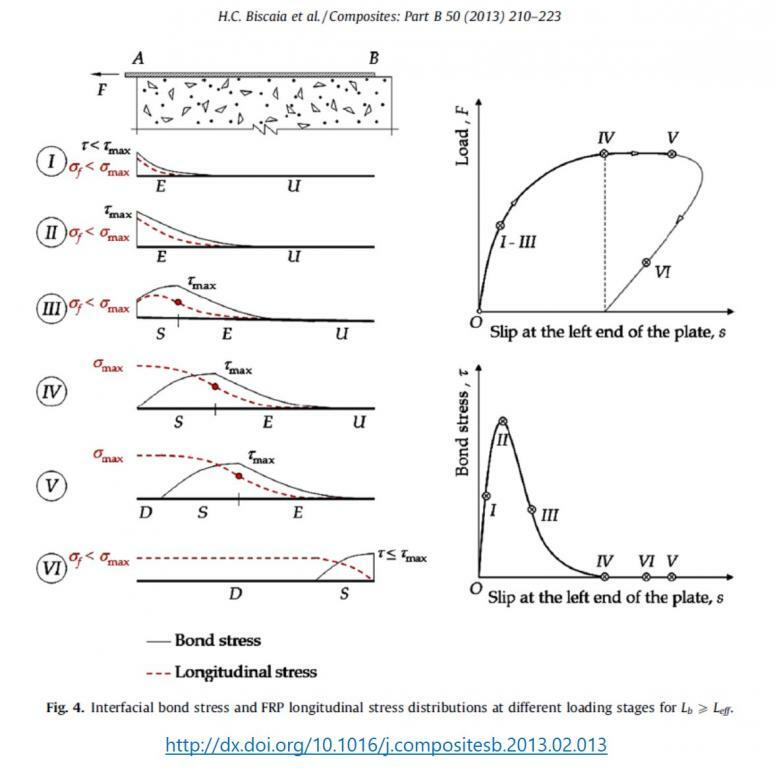 More research has been published on the detachment of the laminate progressing from the anchorage zone than on failure induced by the formation of flexural or shear-flexural cracks in the midspan followed by fiber-reinforced polymer (FRP) separation and failure designated as intermediate crack (IC) debonding. An experimental program to study degradation of the GFRP laminate beam specimens after accelerated temperature cycles, namely: 1) freezing-and-thawing type; and 2) cycles of the same amplitude (40°C [104°F]) and an upper limit approximately 70% of the glass vitreous transition temperature of the resin, Tg, is described. Effects on the bond stress and ultimate capacity are reported. Substantial differences between shear and bending-induced failure and a decrease of bond stresses and engagement of the laminates on the structural response are analyzed. The strengthening of reinforced concrete structures by means of externally bonded fibre reinforced polymers (FRPs) is now routinely considered and applied in the retrofit or strengthening of structures. FRP composites have received a considerable attention from civil engineers in recent years due to the high strength-weight and stiffness/weight ratios when compared to other materials. However, when FRP composites are bonded to a concrete surface, there is a persistent potential problem that the FRP plates may debond prematurely from the concrete. This is a very important issue for the engineers who have to focus on the computational modelling of this phenomenon. Some studies can be found in literature on computational modelling. However, there is very little information about the best modelling of the interface between FRP composites and concrete and this work is intended to help bridge this gap. The computational analysis presented here is based on three-dimensional software which assumes the smeared crack model, and the interface finite elements (FEs) used have a rupture criteria based on the Mohr-Coulomb criterion with tension cut-off. The definition of these FEs was based on double shear tests that were performed specifically for this purpose and they have shown that the debonding phenomenon can be predicted with some accuracy. In total, 10 double shear models were studied and the results were compared with the 21 experimental tests performed. The double shear tests consisted of applying loads to 2 layered GFRP laminates bonded to a 150 mm concrete cube with a bonded area of 150 × 80 mm (length × width). Double shear models with and without a gap interface were considered in order to emphasize the importance of modelling the GFRP-to-concrete interface with interface finite elements. The effect of the concrete strength on the interface performance was also considered. An externally bonded reinforcement (EBR) concrete T-beam strengthened with 2 GFRP layers is presented to illustrate the application of the method. The wet lay-up technique was used for the external reinforcement of a reinforced concrete T-beam and then tested under a four point bending test until rupture. The results are reported and differences between the numerical and the experimental results are discussed. The paper analyses numerical solutions for the process leading to debonding failure of fiber reinforced polymers (FRP)-to-concrete interfaces in shear tests with the FRP plate subjected to a tensile load at one end. Any realistic local nonlinear bond-slip law can be used in the numerical analysis proposed in the present study. However, only a Popovics’ type expression is employed in the numerical process due to its use in different studies found in the literature. Effective bond length (Leff) is discussed and an expression depending on the Popovics’ constant (nP) is proposed to calculate it. 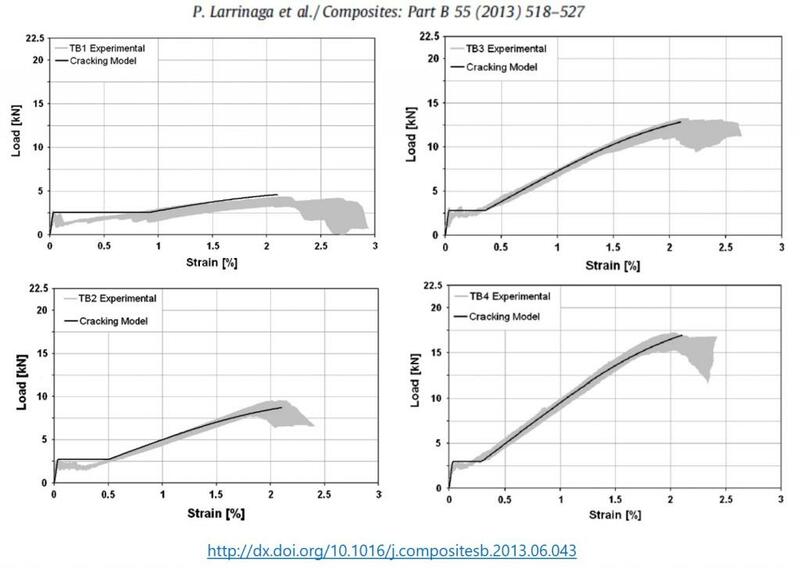 Assuming a fracture in pure Mode II, the debonding process is analyzed in detail and distributions of bond stresses and strains in the FRP plate along the interface are presented. The load-displacement behaviour is also presented and the influence of the local bond-slip law on the debonding process is discussed. Structural design relies essentially on tests made on cylinders of small size to estimate the probability of failure of prototype members, since full-scale testing of structures to determine their strength is not feasible. The confidence that such scale modeling deserves in terms of representation of actual behavior needs careful examination, due to such factors as material nonlinearities, difficulties of scale representation of particulate materials, and sometimes the impossibility of simultaneously satisfying independent dimensionless parameters. Some failures explained by linear fracture mechanics are associable with strong size effects, as opposed to the cases where small cracks are a material property. Besides research centered on these problems, a number of studies of scale effects have been associated with the increased probability of finding a flaw in larger objects. In fact, geometric similitude may coexist with microscopic randomness of flaws that cause size effects to appear. The type of material of the object under study may also be a decisive factor. For example, scatter of the mechanical properties in unidirectional fiber-reinforced polymers (FRPs) is much larger than in metals due to a larger density of flaws. Thus the strength of FRP laminates may depend on the volume of material involved. Strengthening reinforced concrete columns with FRP wraps leads to new constitutive laws for the overall response of the columns and requires small-scale testing followed by extrapolation for design use. The present paper focuses on the difficulties of this step, based on the experimental data obtained. The questions mentioned above are addressed, and the relevance of the adequate representation of the lateral stiffness of the FRP jacket in the scaled cylinders is emphasized. The paper also addresses the problem of testing confined cylinders with a given slenderness ratio H/D=height/diameter, within the range usually characteristic of short columns, and extrapolating the results for columns of different H/D. The importance of the parameter (thickness of jacket/diameter of column, representative of stiffness of jacket/stiffness of concrete core) is also examined. The influence of the parameter is shown to be relatively minor, whereas the nonscaling of the relative stiffness of the core and jacket would be a major cause of error. The experimental data, in terms of strain and strength, are also compared with numerical models proposed in the literature, and the quality of the approximations is analyzed. The present work studies the behaviour of bonded steel plates to reinforced concrete elements, which can be used in the strengthening of concrete structural elements. Metallic expansion bolts can be added.The objective of this dissertation is to investigate the behaviour to monotonic actions and particularly to cyclic loading of steel-epoxy-concrete connection with expansion bolts. This cyclic action is of particular interest due to the strong seismicity of the Portuguese territory.The research is mainly based in experimental analysis. The caracterization of the materials was carried out. Six models of the steel-epoxy connection were tested with monotonic loading. Twenty six models of steel-epoxy-concrete bond were submitted either to monotonic or to cyclic actions.Besides the type of action, other parameters were studied in the steel-epoxy-concrete connection models.These were the bond geometry area, the type of concrete, the type of epoxy and connection - with or without metallic expansion bolts.A parametric study with a numerical model of finite elements, as well as a global analysis of the experimental tests of the steel-epoxy-concrete connection was carried out. The seismic retrofit of reinforced concrete columns with FRP jackets has received a considerable increment in recent years due the high strength-weight and stiffness-weight ratios of FRP compared to other materials. The FRP outer shell also contributes to prevent or delay environmental degradation of the concrete and corrosion of the steel reinforcement. An experimental program conducted in order to analyze the behavior of reinforced concrete columns jacketed with FRP composites or repaired with polymeric concrete and subjected to axial compression and cyclic horizontal loads is described. The dimensions of the cylindrical columns were 1500 mm height by 250 mm diameter. The influence of various parameters on the response, including the type of confining material and the number of FRP layers, is reported. The results of the tests are shown and interpreted. This thesis deals with the analysis of the behaviour of retrofitting reinforced concrete circular columns with FRP materials which were subjected either to axial cyclic compression or axial compression and alternated cyclic horizontal loads. The choice of this topic derived from the need to investigate the behaviour of the strengthening of reinforced concrete columns to seismic actions, especially with new materials such as carbon and glass fibres or polymeric mortars. Another reason for such choice is linked to the strong seismicity of the Portuguese territory. It has been verified that confined concrete columns with FRP jackets have their resistance and ductility highly increased as these considerably reduce the columns transversal deformation, thus preventing the buckling of longitudinal reinforcement. There has been an increasing use of FRP composites in the strengthening of structures, mainly with GFRP (Glass Fibre Reinforced Plastics) or CFRP (Carbon Fibre Reinforced Plastics). This is due to their attractive characteristics such as high resistance to corrosion, lowratio for weight/strength, moldability, easy application and the fact that there is no need of support structures. 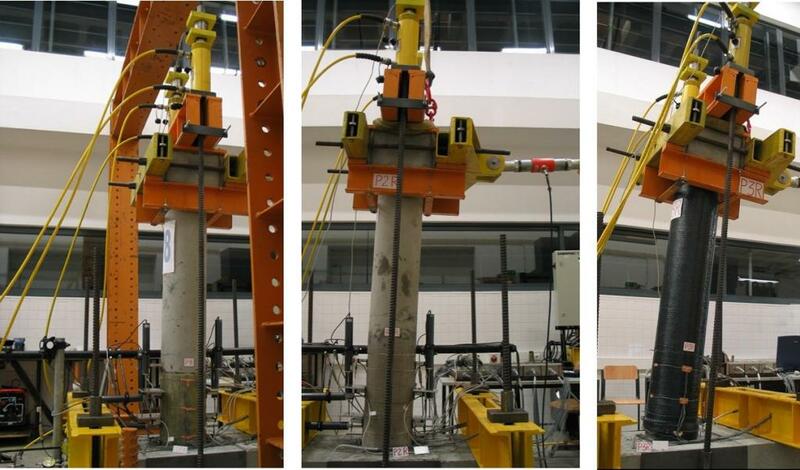 Forty-five experimental tests were carried out, dealing with retrofitting reinforced concrete columns with axial monotonic or cyclic compression reinforced with FRP composites. The column height of 750 mm was maintained in order to evaluate the influence of several parameters in its behaviour: the column geometry (change in its diameter), the type of column (plain or reinforced concrete), transversal reinforcement ratio of concrete columns, the type of external confinement with FRP (C or GFRP), the number of FRP layers and the type of axial loading (monotonic or cyclic). 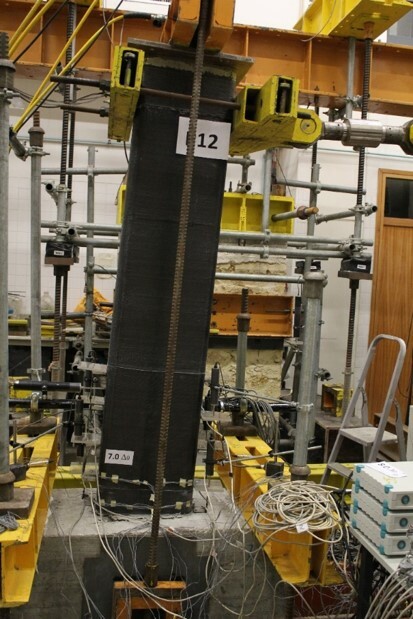 Twelve additional experimental tests were conducted in order to analyse the behaviour of reinforced concrete columns jacketed with FRP composites and subjected to axial cyclic compression and alternated cyclic horizontal loads. The columns’ dimension was maintained (1500 mm height by 250 mm diameter) and the models were subjected to a series of cyclic and alternated loadings. This enabled the study of the various parameters’ influence in their behaviour such as the type of FRP confinement, the number of FRP layers, the level of axial loading, the jacket’s height or the strengthening of the plastic hinge by replacing the cover concrete with polymeric mortar. Based on the numerical models presented and experimental analysis carried out, models were proposed and developed to simulate the behaviour of columns jacketed with FRP composites. Polymeric mortars or concrete are special building materials which can be used to repair or strengthen localized areas of structural elements. Following research on the behaviour of retrofitting reinforced concrete circular columns with FRP composite materials and bearing in mind the high strength of polymer concretes, it was decided to develop a solution to seismic retrofit of reinforced concrete columns with polymer concrete. The mechanical characteristics of different polymer concretes and especially their performance when subjected to cyclic axial compression, several bending tests, and monotonic and cyclic axial compression tests were studied, namely the compressive strength, the tensile strength on bending and the Young's modulus. Columns were also tested under axial compression and cyclic horizontal loads. The results of these tests are shown and interpreted. It is concluded that the improved behaviour in monotonic compression of polymer concrete is essentially associated with better strength characteristics of resin, whereas its superior behaviour under cyclic loading is linked to a smoother aggregate grading curve. A ligação pilar-fundação tem um papel fundamental no comportamento das estruturas pré-fabricadas, em particular, na presença de acções horizontais, como a acção dos sismos e do vento, que introduzem esforços elevados na base dos pilares. Um dos sistemas de ligação pilar-fundação usados em estruturas pré-fabricadas consiste em deixar na extremidade inferior dos pilares armaduras salientes que são introduzidas em negativos executados nas fundações. Estes negativos são posteriormente injectados com grout para garantir a ligação. No presente trabalho foram estudadas diferentes soluções de negativos para ligação das armaduras do pilar à fundação, tendo sido realizados ensaios monotónicos para analisar o seu comportamento. Nesta comunicação apresentam-se e discutem-se os resultados obtidos da análise experimental efectuada. em particular, na presença de acções horizontais, como a acção dos sismos e do vento. Um dos sistemas de ligação pilar-fundação usados em estruturas pré-fabricadas consiste em deixar na extremidade inferior dos pilares armaduras salientes que são introduzidas em negativos executados nas fundações, sejam elas sapatas ou maciços de encabeçamento de estacas. Estes negativos são posteriormente injectados com “grout” para garantir a ligação. Foram estudados diferentes soluções de negativos para ligação das armaduras do pilar na fundação. Foram realizados ensaios monotónicos e cíclicos, para analisar não só o comportamento às acções estáticas mas também para a acção sísmica. No presente trabalho apresentam-se os resultados obtidos com a análise experimental efectuada. O estudo realizado permite apresentar recomendações para projecto e quais os tipos de ligações com melhor desempenho. Fiber reinforced polymers (FRP) are often used to strengthen RC structures. Despite intense research, durability of reinforced concrete (RC) retrofitted with FRP remains insufficiently known. Long time behavior of the bond laminate-concrete, in flexural strengthening, under environmental action is not well known, conditioning Codes and engineers. An experimental program that subjected RC beams, externally reinforced with Glass FRP (GFRP) strips, to temperature and salt water cycles, for up to 10000h is reported. conditions. The study also generated also non-linear bond-slip relationships from the experimental data. Numerical modeling has been undertaken, based on a commercial code. The model is based on smeared cracking. Parameters needed for the characterization, namely cohesion and friction angle, were obtained from shear tests conceived for the effect. The aim of the present communication is to present an analysis of the gravity load influence on the hysteretic behaviour of a beam-column connection. For this purpose, in the experimental campaign a new procedure for RC cyclic tests is presented in order to reproduce closer demands on the beam critical zone than the traditional procedures. The Experimental campaign included cyclic tests of the specimens according with the ECCS recommendation and an innovate procedure. The test results are presented, compared and analysed. A numerical simulation of the tests is presented where the model for the hysteretic response of the beam was calibrated with the experimental results. Finally, the behaviour of a portal frame system under cyclic displacements up to a drift of 3.5% was analysed, assuming that the non-linearity is concentrated on the plastic hinges, considering different levels of gravity load. Thus it is intended to assess the influence of the gravity load on the behaviour of a structure subjected to cyclic loads. Analisa-se e caracteriza-se por via experimental a ligação entre elementos de betão armado e materiais compósitos, nomeadamente com base nas fibras de vidro. Fabricaram-se vigas de betão armado que foram exteriormente reforçadas com GFRP. Os resultados obtidos experimentalmente foram comparados com os resultados conseguidos por intermédio de modelação computacional, recorrendo-se ao programa de cálculo ATENA 2D. Para melhor modelação de elementos de interface, foram realizados ensaios de corte tendo-se obtido valores que permitiram caracterizar a lei de rotura de Mohr-Coulomb. Os parâmetros estudados foram a evolução das forças máximas absorvidas pelo reforço; as tensões de aderência máximas; a distribuição das tensões de aderência. correlation associated with block motion algorithms to estimate displacements in reinforced concrete (RC) beams during a load test. Using image processing techniques it is possible to measure the whole area of interest and not only a few points of the tests materials. In this paper, block-matching algorithms are used in order to compare the results from photogrametry techniques and the data obtained with linear voltage displacement transducer (LVDT) sensors during the load tests of RC beams, which are very common to find in civil engineering laboratories. ratios of FRP compared to other materials. height and were tested until rupture in a 4-point bending test system. approaches to the flexural strengthening of RC beams. The retrofit of reinforced concrete columns with FRP jackets has received considerable attention in recent years. The advantages of this technique compared to other similar techniques include the high strength-weight and stiffness-weight ratios of FRP (Fibre Reinforced Plastics), the strength and ductility increase of RC columns confined with FRP jackets as well as the fact that FRP external shells prevent or mitigate environmental degradation of the concrete and consequent corrosion of the steel reinforcement. Furthermore, this method also reduces the column transversal deformation and prevents the buckling of longitudinal reinforcement. 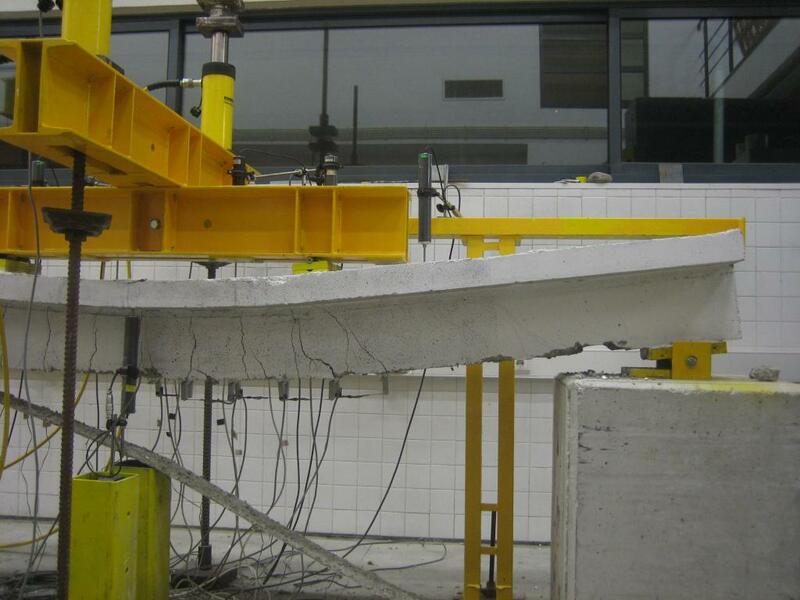 Twenty five experimental tests were carried out on reinforced concrete columns confined with CFRP composites, and subjected to axial monotonic compression. In order to evaluate the influence of several parameters on the mechanical behavior of the columns, the height of the columns was maintained, while changing other parameters: the diameter of the columns, the type of material (plain or reinforced concrete), the steel hoop spacing of the RC columns and the number of CFRP layers. Predictive equations, based on the experimental analysis, are proposed to estimate the compressive strength of the confined concrete, the maximum axial load and the axial or the lateral failure strain of circular RC columns jacketed with CFRP. A stress-strain model for CFRP confined concrete in compression, which considers the effect of the CFRP and the transversal reinforcement on the confined compressive strength of the column is also proposed. 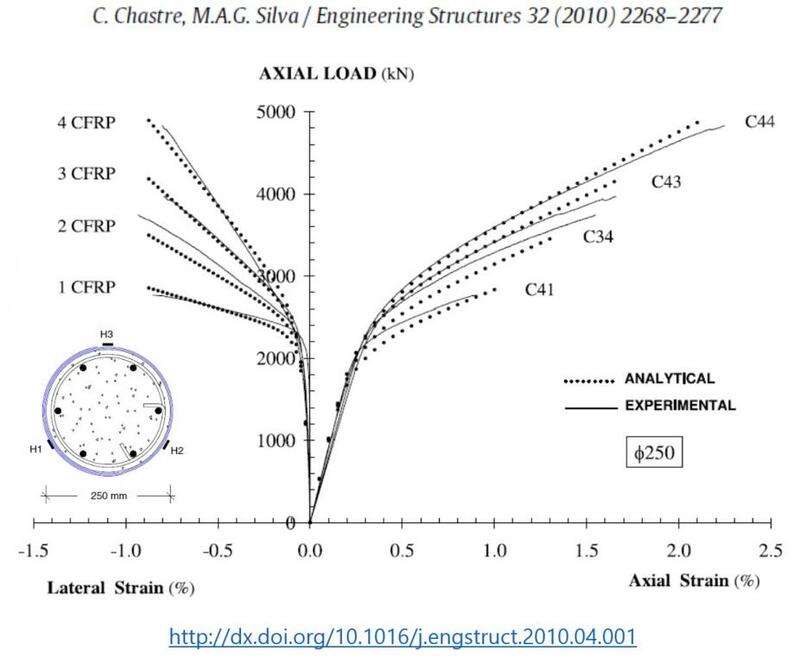 The curves, axial load versus axial or lateral strain of the RC column, are simulated based on the stress-strain model and include the longitudinal reinforcement effect. The results demonstrate that the model and the predictive equations represent very well the axial compression behavior of RC circular columns confined with CFRP. The applicability of this model to a large spectrum of RC column dimensions is its main advantage. No património edificado português as rochas granulares assumem importância relevante nos elementos construtivos presentes no património histórico e cultural, nomeadamente as pedras graníticas e areníticas. Tendo por objectivo a avaliação do comportamento mecânico de rochas granulares presentes no património edificado histórico foi realizado um estudo de investigação experimental sobre amostras dos litótipos seleccionados e que são representativos de rochas presentes no próprio edificado, em termos de propriedades petrográficas, físicas e mecânicas. Neste artigo apresenta-se um modelo analítico definido com base em ensaios experimentais que permite efectuar a simulação do comportamento das rochas em compressão uniaxial (diagramas de tensão-deformação), função de propriedades físicas e mecânicas obtidas através de ensaios não destrutivos e quasi não destrutivos. Este modelo permite desta forma a avaliação do comportamento mecânico de rochas granulares sem afectar a integridade do património histórico. The measurement of deformations, displacements, strain fields and surface defects in many material tests in Civil Engineering is a very important issue. However, these measurements require complex and expensive equipment and the calibration process is difficult and time consuming. Image processing could be a major improvement, because a simple camera makes the data acquisition and the analysis of the entire area of the material under study without requiring any other equipment like in the traditional method. Digital image correlation (DIC) is a method that examines consecutive images, taken during the deformation period, and detects the movements based on a mathematical correlation algorithm. In this paper, block-matching algorithms are used in order to compare the results from image processing and the data obtained with linear voltage displacement transducer (LVDT) sensors during laboratorial load tests of T-beams. © 2011 IFIP International Federation for Information Processing. Externally bonded reinforced systems have been widely used in civil engineering. However, the problems associated with bond between structural elements are not yet fully solved. As a consequence, many researchers have been proposing tests and techniques to standardize procedures and reach better agreement for design purposes. In the present paper, an experimental program is described that was developed to characterize the glass FRP/concrete interface by double shear tests made on 15 cm side cubes with GFRP bonded on two opposite faces. The GFRP wrap had two layers applied by the wet lay-up technique and three classes of concrete were considered. With the support of the experimental program, cohesion and friction angle for GFRP–concrete interfaces were found leading to different envelope failure laws, based on the Mohr–Coulomb failure criterion for each concrete class, capable of predicting GFRP debonding. Results are discussed. Since the 1980’s, several buildings throughout the world have been subject to gas explosions, impact by cars or airplanes, or car bomb attacks. In many cases the effect of the impact or explosion has been the failure of a critical structural member at the perimeter of the building. After the failure, the load supported by that member could not be redistributed and part or all of the structure has collapsed in a progressive manner. The phenomenon that occurs when local failure is not confined to the area of initial distress, and spreads horizontally and/or vertically through the structure, is termed progressive collapse. Progressive collapse is a relatively rare event, as it requires both an accidental action to cause local damage and a structure that lacks adequate continuity, ductility, and redundancy to prevent the spread of damage. It is technically very difficult and economically prohibitive to design buildings for absolute safety. However it is possible to construct precast concrete buildings that afford an acceptable degree of safety with regard to accidental actions. A structure is normally designed to respond properly, without damage, under normal load conditions, but local and/or global damages cannot be avoided under the effect of an unexpected, but moderate degree of accidental overload. Properly designed and constructed structures usually possess reasonable probability not to collapse catastrophically under such loads, depending on different factors, for example: the type of loading; the degree and the location of accidental loading in regard to the structure and its structural members; the type of structural system, the construction technology, and the spans between structural vertical members, etc. No structure can be expected to be totally resistant to actions arising from an unexpected and extreme cause, but it should not be damaged to an extent that is disproportionate to the original cause. The aim of fib Bulletin 63 is to summarize the present knowledge on the subject and to provide guidance for the design of precast structures against progressive collapse. This is addressed in terms of (a) the classification of the actions, (b) their effect on the structural types, (c) the strategies to cope with such actions, (d) the design methods and (e) some typical detailing, all supplemented with illustrations from around the world, and some model calculations. A indústria do betão pré fabricado é, por tradição, inovadora, precursora de novas tecnologias e de novos materiais.O processo produtivo de estruturas com elementos pré-fabricados difere significativamente do das estruturas betonadas em obra pelo facto de uma parte, ou a totalidade, dos elementos da estrutura serem produzidos em fábrica, em condições de produção melhoradas em relação às condições da obra, e serem posteriormente transportados para a obra, onde são, finalmente ligados entre si. A produção em fábrica é efectuada em ambiente protegido do Sol e da chuva, com operários fixos e com formação profissional para desenvolverem tarefas com procedimentos normalizados. Consequentemente, os elementos executados em fábrica possuem melhor qualidade, sob vários aspectos, do que as estruturas executadas em obra.Este livro divide-se em duas grandes áreas, numa primeira abordam-se algumas aplicações de estruturas pré-moldadas no mundo e numa segunda parte descreve-se o seu comportamento estrutural face a diferentes acções. Nos primeiros capítulos relata-se a experiência da pré-fabricação em três países de diferentes continentes: o Brasil, Portugal e a Austrália e revelam-se novas oportunidades que poderão surgir para a indústria da pré-fabricação. Nos capítulos seguintes dá-se um especial enfoque à investigação do comportamento das ligações (rígidas e semi-rígidas). Aborda-se o projecto de estruturas de betão pré-fabricado às acções acidentais. E por fim, dedicam-se os últimos capítulos ao comportamento das estruturas pré-fabricadas face às acções sísmicas. Nesta área, o bom desempenho das estruturas e grande parte do conhecimento e da tecnologia actual advém da resposta dada pelos engenheiros, investigadores e construtores aos fenómenos naturais que afectam as nossas construções, como comprova o desempenho das ligações dúcteis resistentes a momentos em edifícios pré fabricados de betão no verdadeiro teste sísmico que foram os sismos de Christchurch de 2010 e 2011. The present study is part of an extensive research project, where the main objective is to evaluate a strengthening solution for reinforced concrete structures using a small thickness jacketing in the compression side of the RC element with unidirectional fiber reinforced grout - UFRG. For this purpose a high performance cementitious grout reinforced with continuous and unidirectional non woven fibermat has been developed. It was expected that the use of these type of fibers allowed an optimization of its percentage and orientation. It was expected that the use of these type of fibers allowed an optimization of its percentage and orientation. Besides, for continuous fibers (with an aspect ratio, defined as the length-to-diameter ratio, l/d=∞), the composite should attain higher tensile strength since the fiber embedment length is enough to prevent fiber pullout. 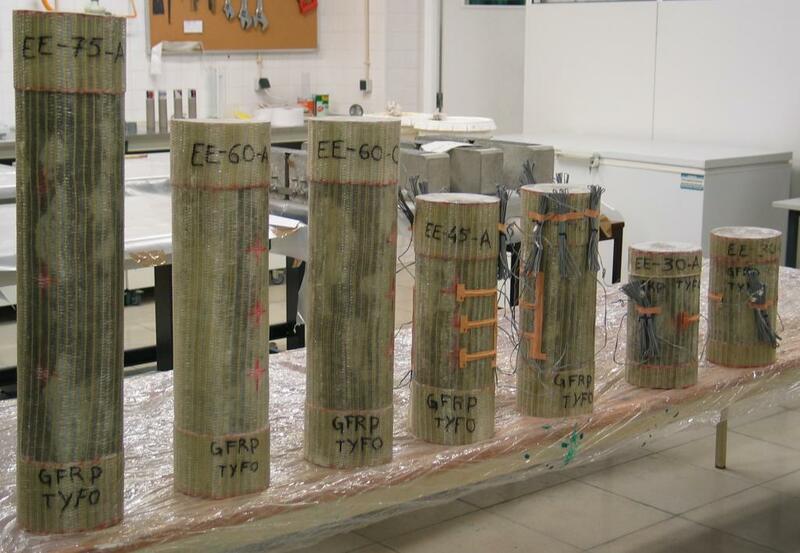 The experimental campaign included a set of preliminary tests that allowed the design of the fiber reinforced grout, sustained with rheological parameters  and mechanical characterization tests of the materials. Finally, an experimental campaign was carried out in order to proceed to the mechanical characterization of the unidirectional fiber reinforced grout. Compressive tests were conducted in small thickness tubular specimens that enable the determination of the compressive strength and the static modulus of elasticity of the material. The tensile strength of the material was obtained using splitting tests of cubic specimens (according the standard DIN 1048-5). The experimental results are presented and analyzed. Os compósitos de FRP podem descolar prematuramente da superfíce de betão, isto é, antes de esgotada a sua resistência elástica. Esta situação é mais provável se não forem tidos em conta factores como o tipo de preparação da superfície, a exposição a acção ambiental severa, e a resistência do próprio betão. Com o objectivo de analisar a influência de parte destes factores no desempenho da ligação compósito de fibra de vidro (GFRP) e betão, empreendeu-se uma campanha experimental baseada em ensaios de corte duplo. Os resultados permitiram determinar e comparar as forças máximas transmitidas ao GFRP e tensões de aderência máxima para diferentes tratamentos de superfície e condições de envelhecimento. Foram também determinadas aproximações para curvas de tensão de aderência vs. deslizamento (bond-slip). Os resultados obtidos são contrastados com resultados obtidos por modelação numérica. Sandstone building stones are important in the building elements of Portuguese monuments, particularly in the western and southern regions. Alveolization due to salt crystallization was the most important degradation pattern found in the old sandstone façades of buildings in the village of Atouguia da Baleia. Because weathering progressively increases porosity in stones, experimental research was conducted on the most porous variety of sandstone, which is similar to the type of stones found in the façades of ancient buildings in that village. An automatic salt crystallization accelerated ageing chamber was developed. Monotonic and cyclic uniaxial compressive tests were carried out on samples after sodium chloride crystallization ageing tests had been performed, in order to assess the compressive mechanical behavior of sandstone during accelerated ageing. The results of stress–strain compression diagrams showed a clear decreasing trend in the values of mechanical parameters during the salt crystallization ageing progress. The difference in compressive strength values between monotonic and cyclic compression also decreases with as salt crystallization ageing progresses. 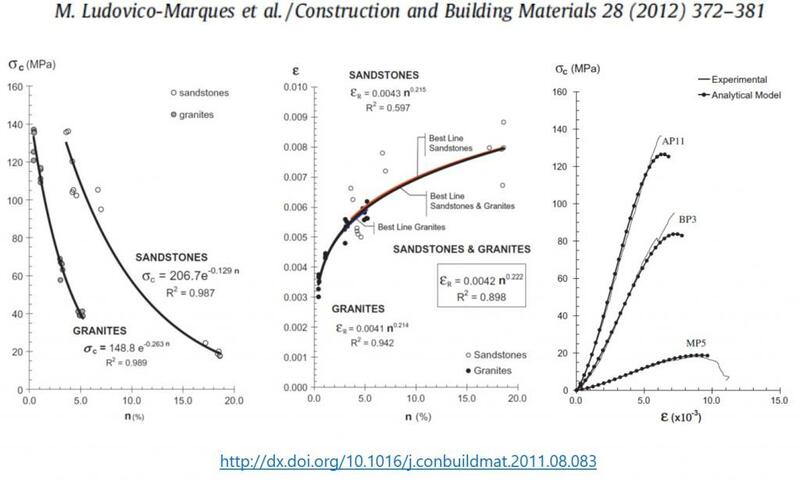 A predictive equation that correlates the compressive strength of sandstones with salt crystallization ageing cycles is proposed. Building stones, particularly sandstone and granite, are very important in the building elements of Portugal’s historical and cultural heritage. Experimental research, based on uniaxial compressive tests, was carried out on selected representative samples of lithotypes of rocks used in historic built heritage, with a view to evaluating the compressive mechanical behaviour of different building stones. The results showed that porosity plays a central role in the compressive behaviour of granites and sandstones. As porosity can be evaluated in field conditions with non-destructive tests it was decided to derive an analytical model to predict compressive behaviour based on the knowledge of porosity of the building stones. A cubic polynomial function was adopted to describe the pre-peak regime under compression to implement the model. Furthermore, a statistical correlation between mechanical and porosity data had to be defined. Good agreement between experimental and analytical compressive stress–strain diagrams, from which the mechanical properties like compressive strength and modulus of elasticity can be derived, was achieved. The use of FRP composites for the confinement of concrete has become an important aspect to consider on strengthening of concrete columns. It is important therefore that accurate modelling tools are available for the design of this system considering, not only the peak values of load and strain, but also the complete stress–strain behaviour. 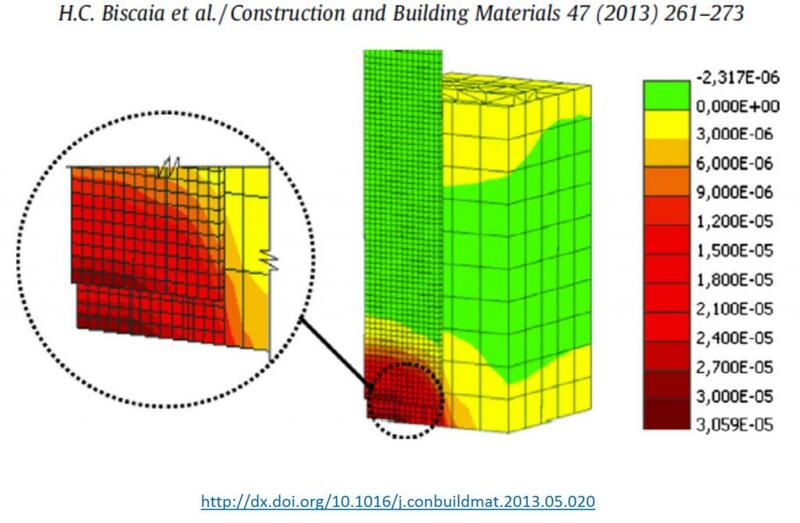 A wide group of authors have proposed several models specific for FRP-confined concrete based either on theoretical assumptions (analysis-oriented-models – AOMs) or on mathematical calibration from testing results (design-oriented-models – DOMs). This article carries out the implementation and analysis of nine existing models for circular concrete columns in view of axially tested reinforced concrete columns confined with CFRP with three different diameters: 150; 250 and 400 mm. The global shape of curves, peak compressive load, stress–strain relation, axial-to-lateral relation and dilation response were studied to conclude which models’ curves were closer to tests. Quantification of errors in face of the testing results was carried out for the most important parameters – ultimate load, strain and lateral stress – as well as for other curve parameters. Some models are accurate in predicting the peak load, though only few can accurately predict the load–strain and dilation behaviour. comportamento dessa ligação, integrado em programa mais alargado de estudo da durabilidade deste tipo de reforço, especialmente quando sujeito a condições ambientais severas que se simulam por processos artificialmente acelerados no laboratório. Em particular a degradação da aderência e o possível descolamento precoce do reforço têm sido modelados física e computacionalmente com principal incidência no uso de fibras de vidro (GFRP) e resina epoxídica. Nesta comunicação mostram-se resultados obtidos em termos de capacidade de carga, força transmitida ao reforço e tensões de aderência após envelhecimentos de pequenas vigas de betão armado (BA) por ciclos de nevoeiro salino, ciclos seco/molhado em solução salina, ciclos de temperatura entre +7,5ºC e +47,5ºC e gelo-degelo de -10ºC a +30ºC. Faz-se recomendação quanto à extensão máxima para diferentes envelhecimentos. Apresenta-se comparação entre resultados de modelação numérica e experimental. This paper deals with the coupled effect of temperature and silica fume addition on rheological, mechanical behaviour and porosity of grouts based on CEMI 42.5R, proportioned with a polycarboxylate-based high range water reducer. Preliminary tests were conducted to focus on the grout best able to fill a fibrous network since the goal of this study was to develop an optimized grout able to be injected in a mat of steel fibers for concrete strengthening. The grout composition was developed based on criteria for fresh state and hardened state properties. For a CEMI 42.5R based grout different high range water reducer dosages (0, 0.2%, 0.4%, 0.5%, 0.7%) and silica fume (SF) dosages (0, 2%, 4%) were tested (as replacement of cement by mass). 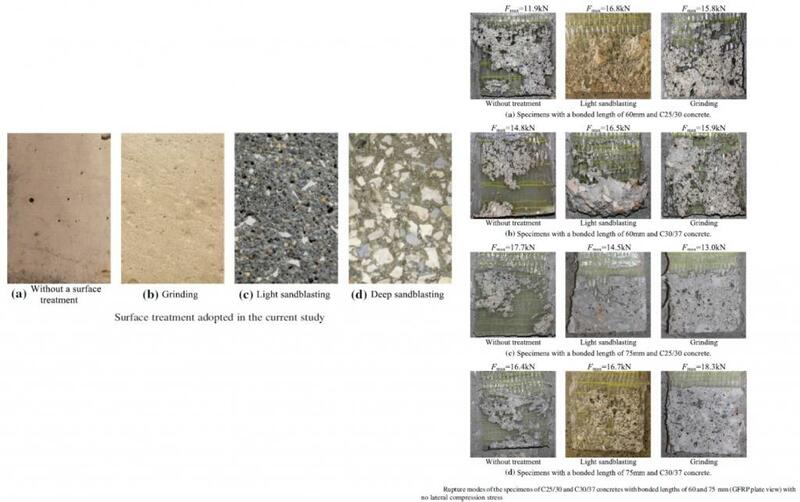 Rheological measurements were used to investigate the effect of polycarboxylates (PCE) and SF dosage on grout properties, particularly its workability loss, as the mix was to be injected in a matrix of steel fibers for concrete jacketing. The workability behaviour was characterized by the rheological parameters yield stress and plastic viscosity (for different grout temperatures and resting times), as well as the procedures of mini slump cone and funnel flow time. Then, further development focused only on the best grout compositions. 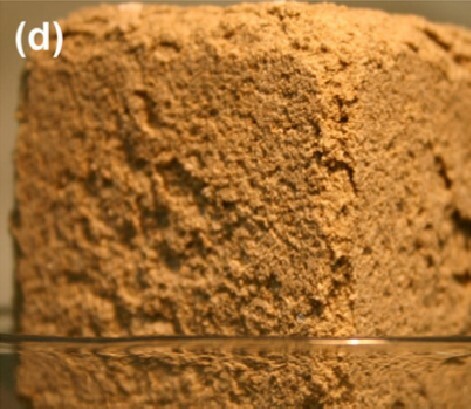 The cement substitution by 2% of SF exhibited the best overall behaviour and was considered as the most promising compared to the others compositions tested. Concerning the fresh state analysis, a significant workability loss was detected if grout temperature increased above 35°C. Below this temperature the grout presented a self-levelling behaviour and a life time equal to 45 minutes. In the hardened state, silica fumes increased not only the grout’s porosity but also the grout’s compressive strength at later ages, since the pozzolanic contribution to the compressive strength does not occur until 28 days and beyond. The paper analyses different analytical and numerical solutions for the debonding process of the FRP-to-concrete interface on shear tests with the FRP plate submitted to a tensile load in one of its ends. From the point of view of the state of the art, two different ways of finding the bond-slip curve from experiments are discussed and analysed. Essentially, three different linear bond-slip models, one exponential model and another power based function are employed in the numerical process. The results are analysed and compared. The differences found in the stress field along the interface, maximum load, maximum slip, ultimate slip, fracture energy and effective bond length are reported. The load-slip behaviour is also presented for the linear and non-linear models herein studied and the influence of the local bond-slip model on the debonding process is discussed. The numerical integration process used on the present study proved to be coherent with the analytical expressions determined for the linear bond-slip models and allowed to verify that maximum load transmittable to the FRP plate is influenced by the square root of the FRP stiffness and fracture energy even when nonlinear bond-slip models are assumed. Cement bonded particle board (CBPB) is a composite material produced in plates consisting mainly of wood and cement, and may contain additives. This material is currently used in cladding, raised floors, dropped ceilings, prefabricated houses, office containers and various supplies to the building industry such as kitchens, bathrooms and furniture. It is composed of a type of wood Pinus pinaster and/or Pinus pinea, Portland cement type II, sodium silicate and aluminium sulphate. CBPB has been the subject of several studies with the purpose of enabling the use of other types of wood or even vegetable biomass, as the chemical compounds from wood (extractives and sugars) tend to inhibit of cement hydration. A study on the behaviour of short CBPB elements under compression was carried out in the Department of Civil Engineering of Universidade NOVA de Lisboa with the aim of enabling its use in structural elements. The study was supported by VIROC, the company which produces CBPB in Portugal. This paper presents and analyses the most significant results of a campaign of axial compression tests performed on 111 specimens of different heights and cross sections. The behaviour of CBPB specimens of varying slenderness was subjected to a more detailed analysis. The presented work aims at studying the modelling of long term performance of concrete compositions with different proportions of clinker as regards the diffusion of CO2 in concrete – carbonation. The replacing constituents of clinker that will be part of the binder in each concrete composition are limestone filler and low calcium fly ash (FA). The used percentage of FA by weight of binder was of 50%. Concrete compositions were made following standard prescribed requirements to attain service lives of 50 and 100 years as regards concrete performance against reinforcing steel corrosion. Test results of compressive strength and carbonation depth are reported at different curing ages of 28, 90, 180 and 365 days. Carbonation results were used for the implementation of modelling equations in order to estimate the design service life regarding reinforcing steel corrosion. Two performance-based methods were used: safety factor method and probabilistic method, and their results compared with the traditional prescriptive approach. At the age of 28 days the composition with OPC is the only one that reaches the target periods of 50 or 100 years. For the probabilistic method, different curing age results were analysed. For the tested results at 90, 180 and 365 days of age the reliability of some of the compositions with blended cements is within the minimum required, although still far from the higher performance of concrete with OPC.